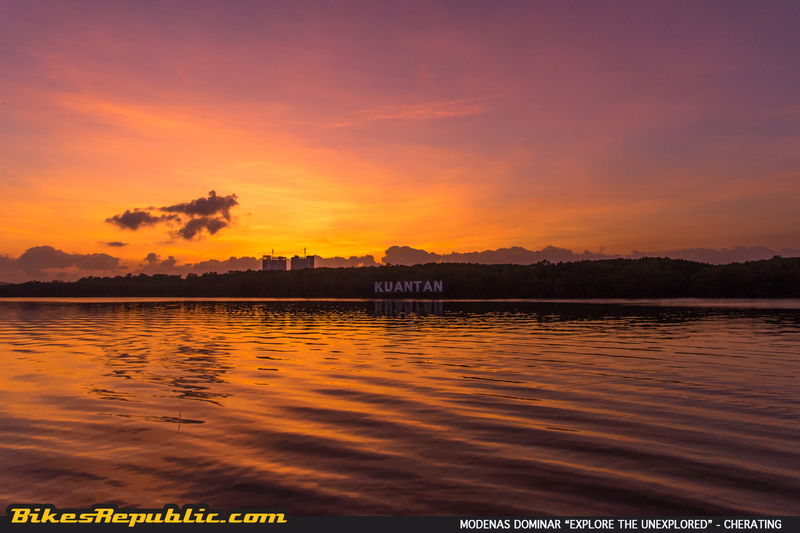 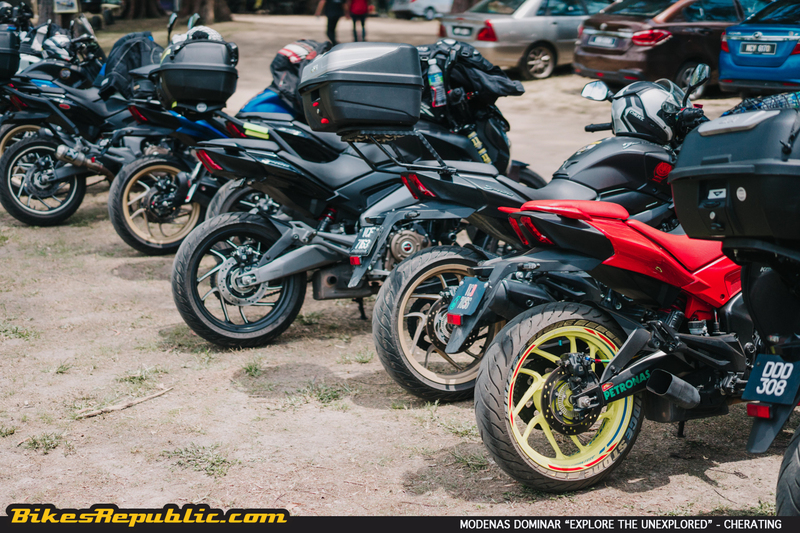 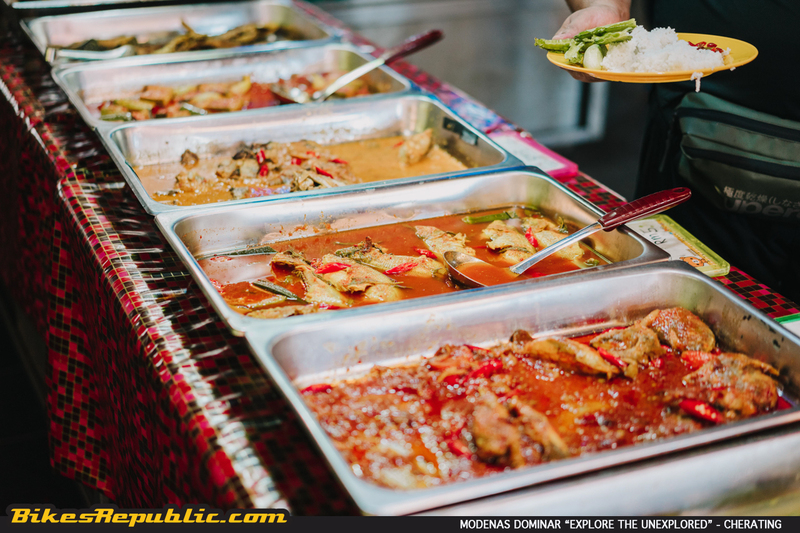 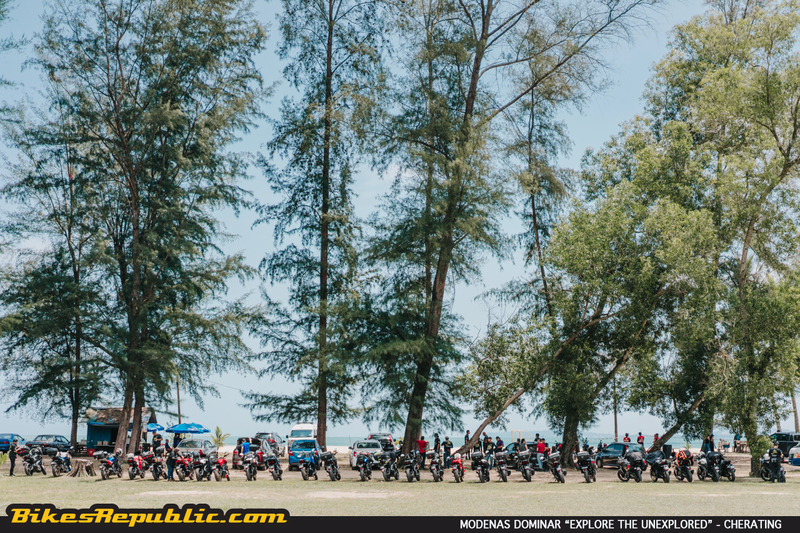 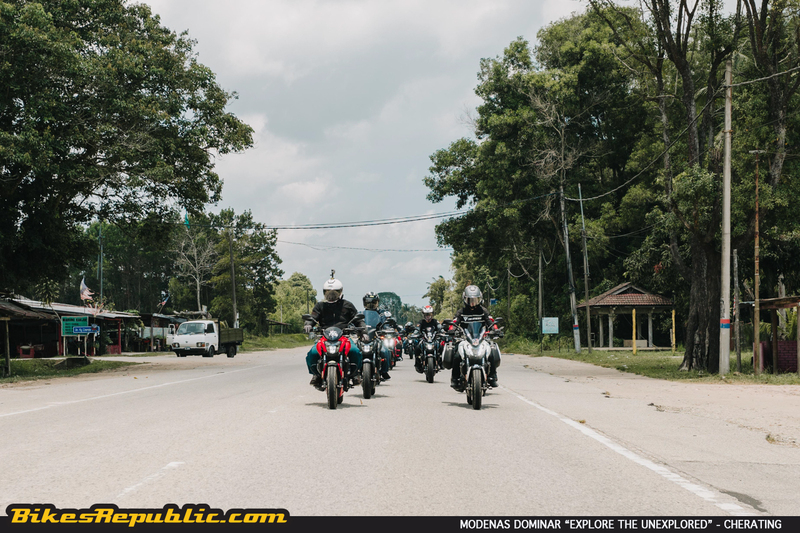 The fifth edition of the Modenas Dominar “Explore the Unexplored” took the owners from Kuantan to Cherating, Pahang. The riders had lots of fun at the beaches. 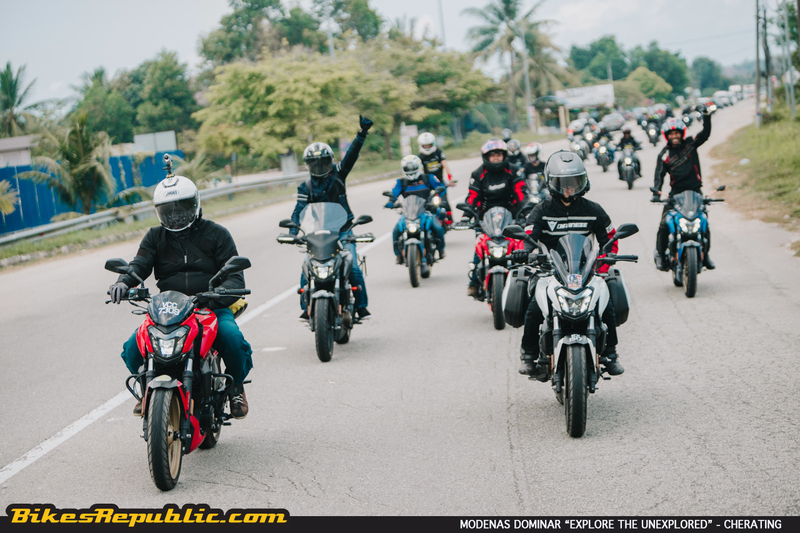 They also took plenty of pictures and videos for the #motography and #motographymalaysia initiatives. 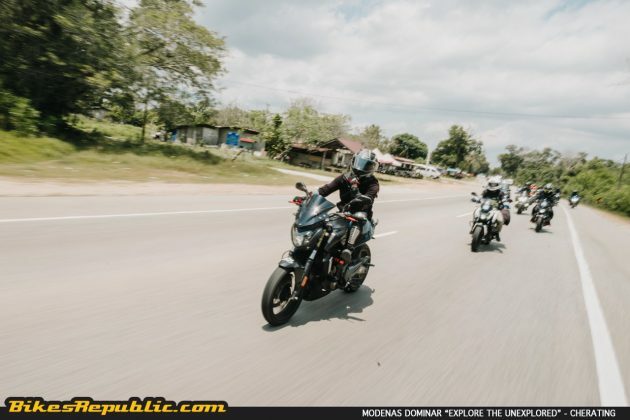 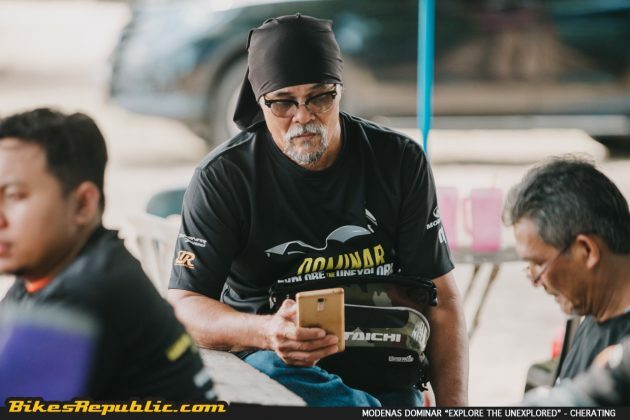 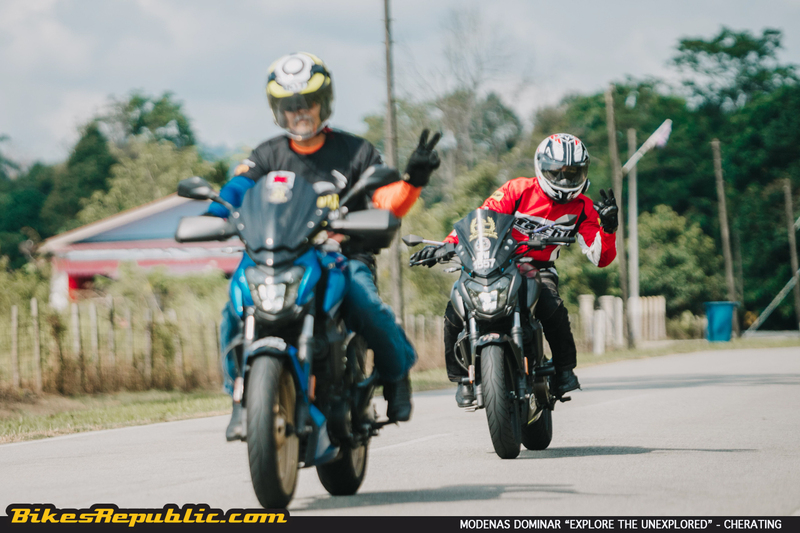 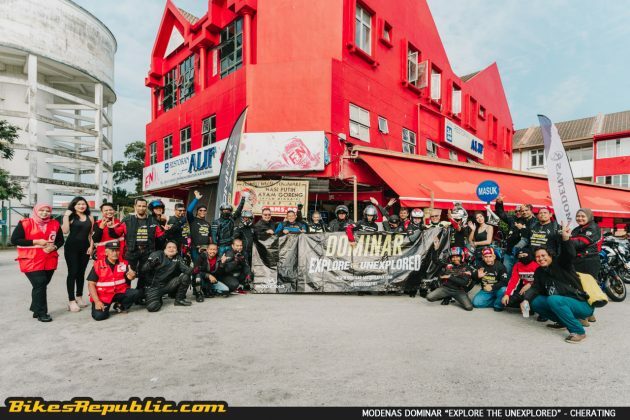 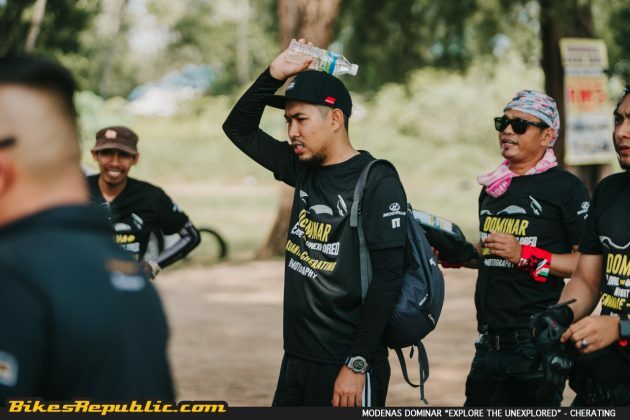 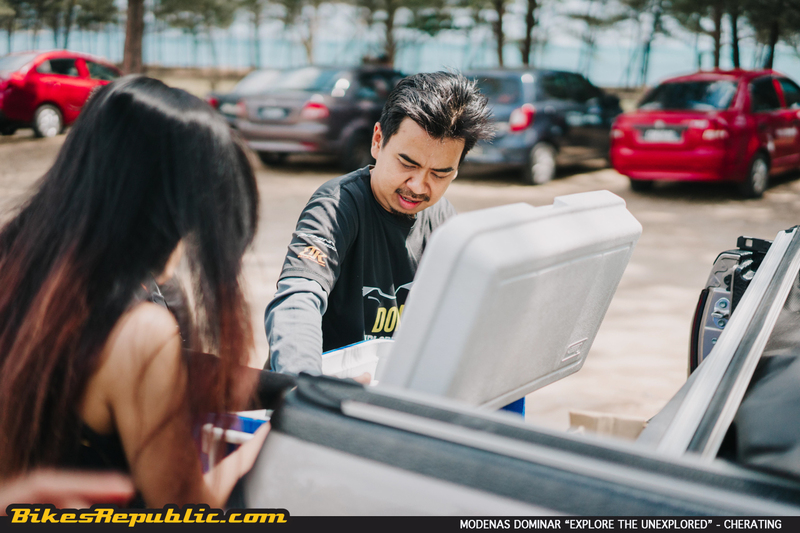 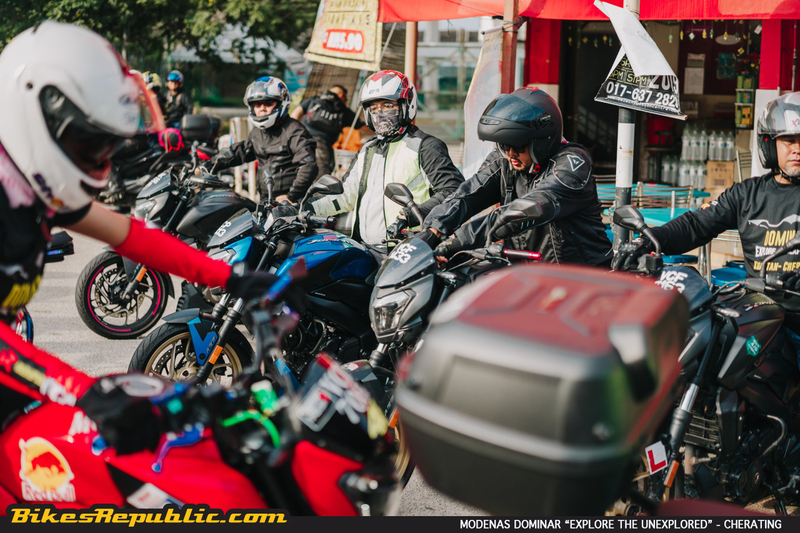 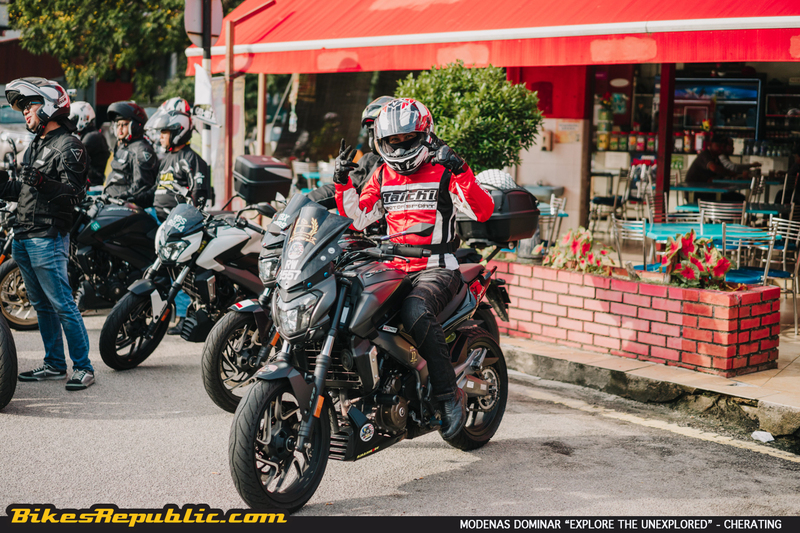 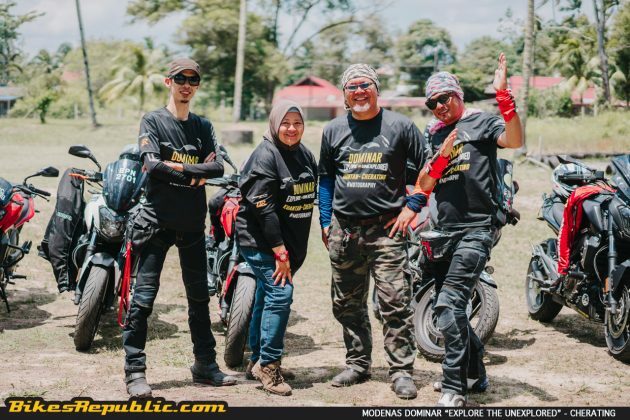 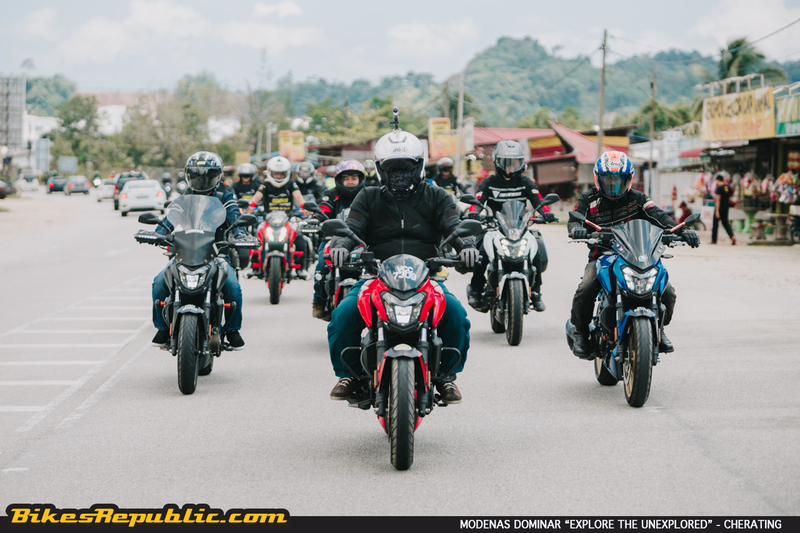 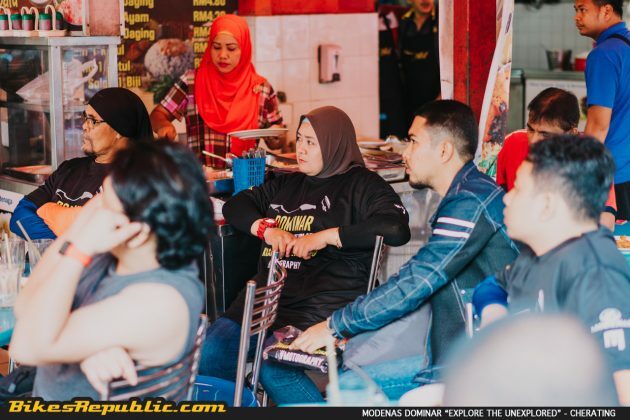 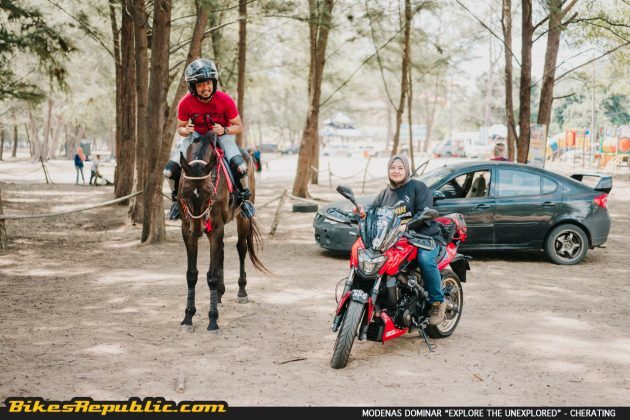 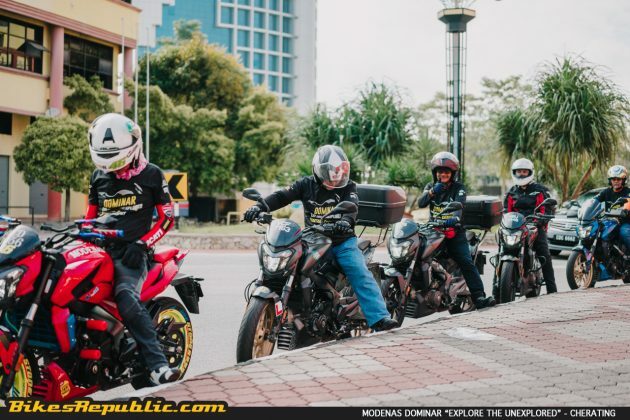 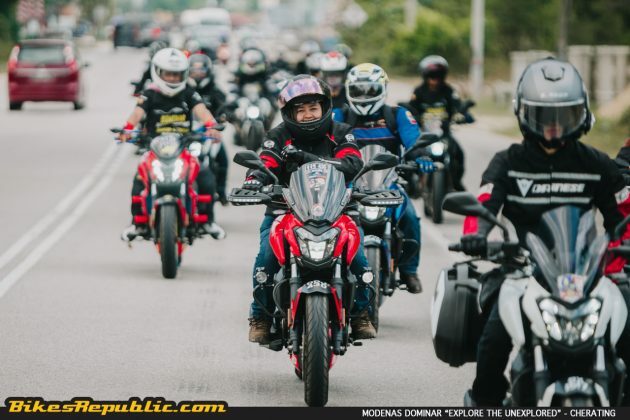 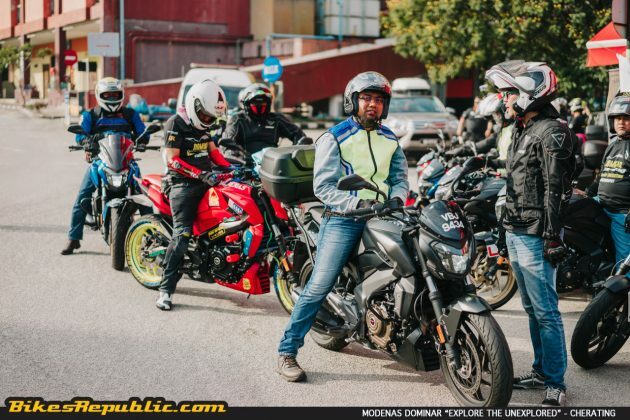 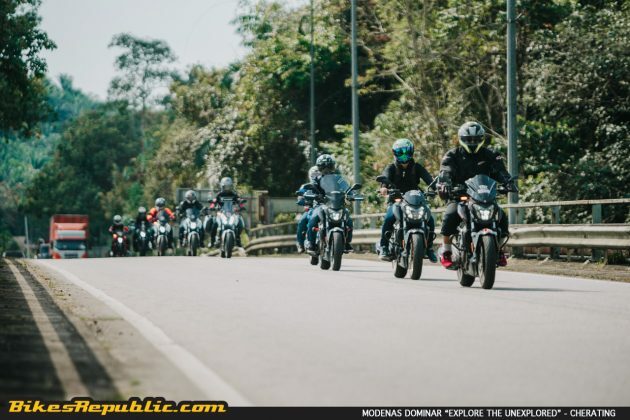 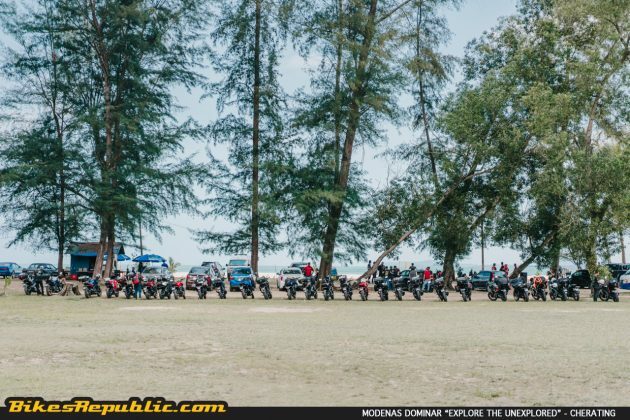 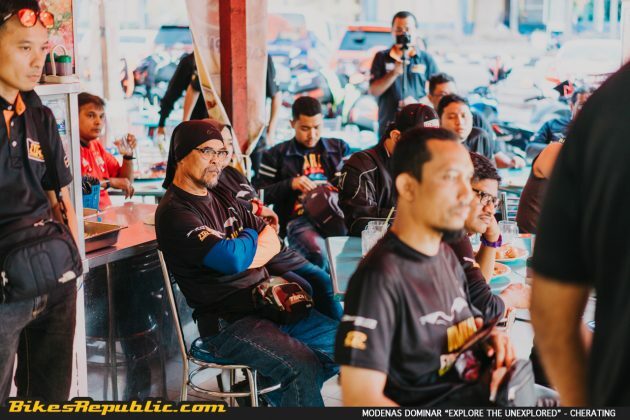 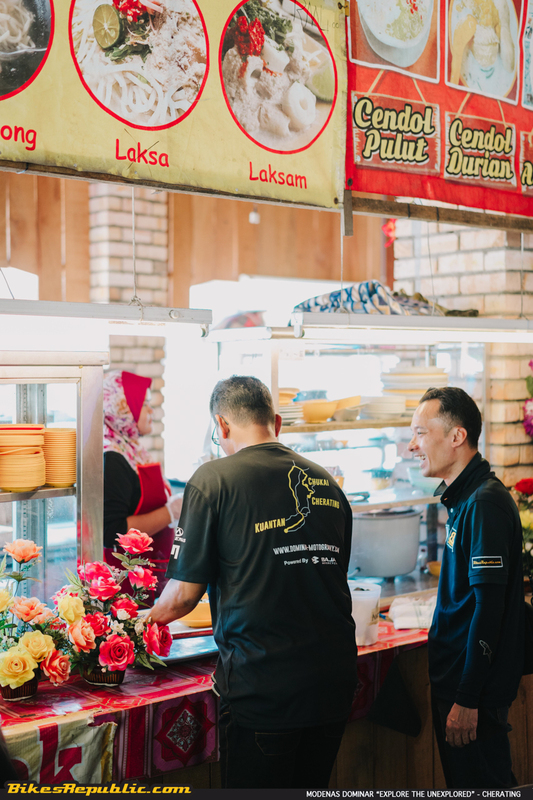 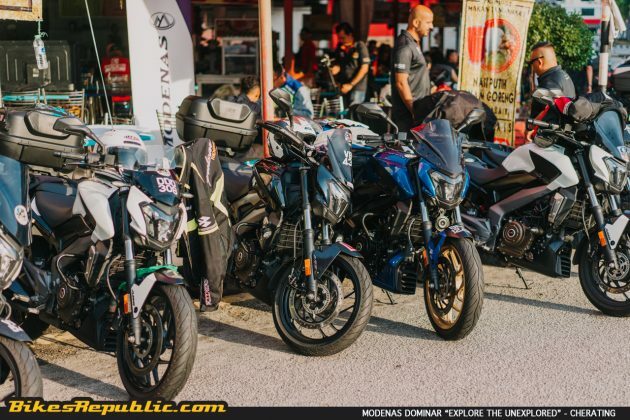 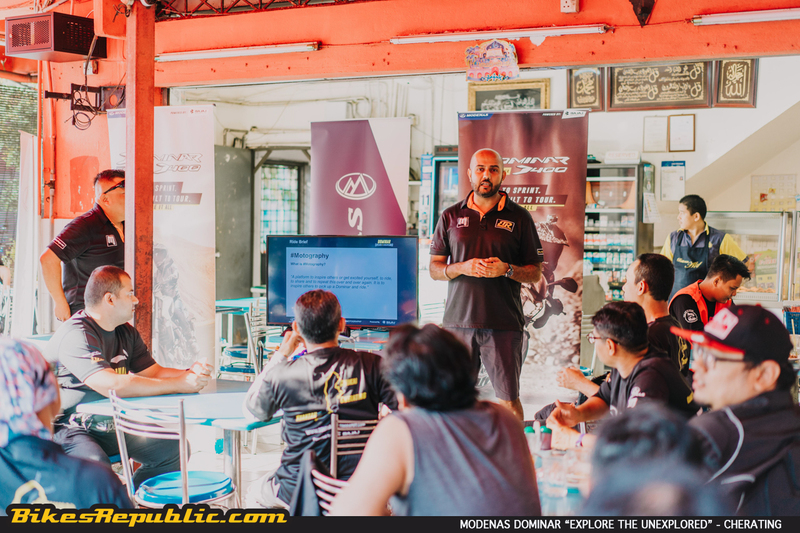 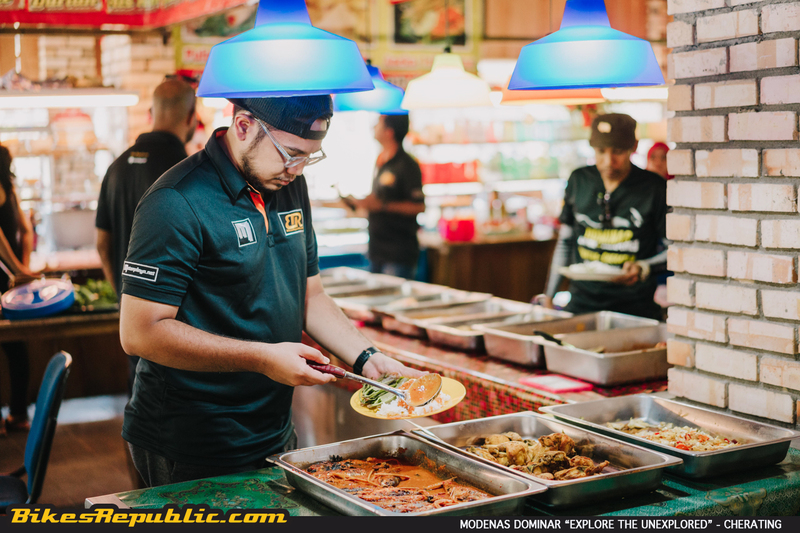 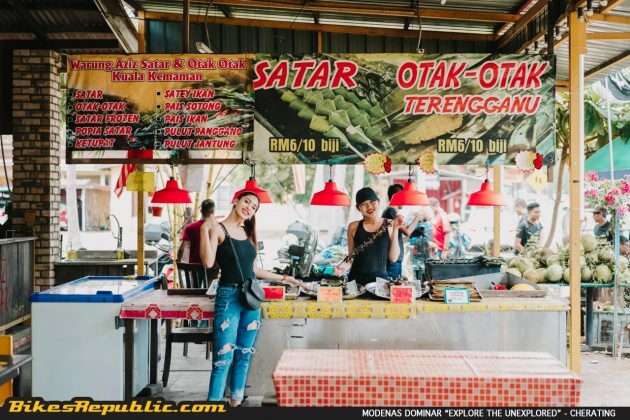 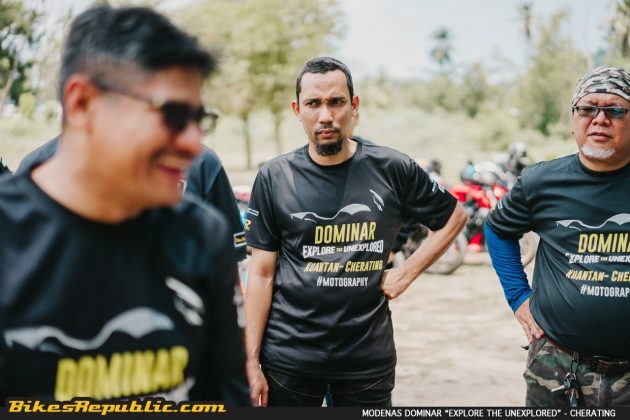 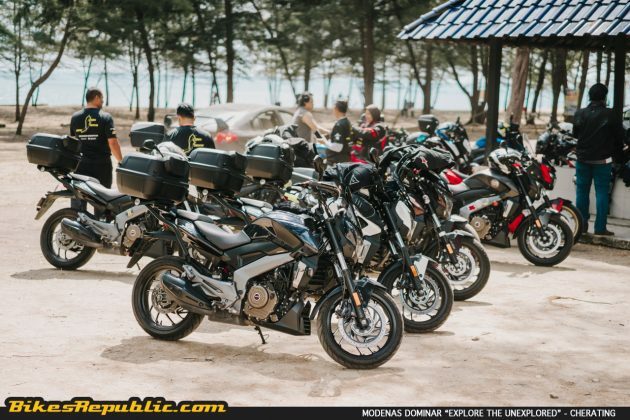 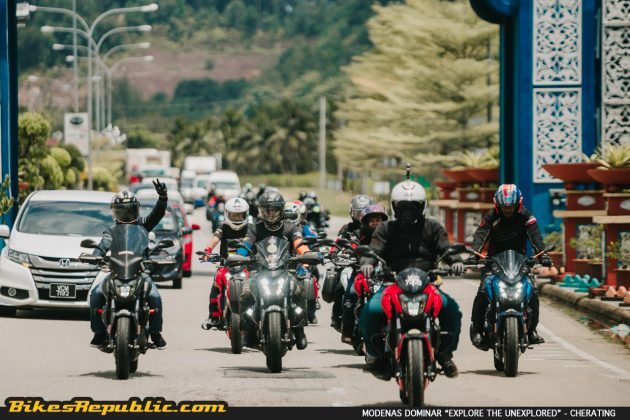 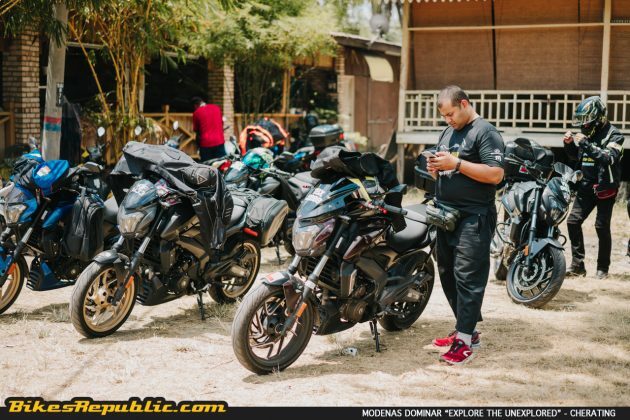 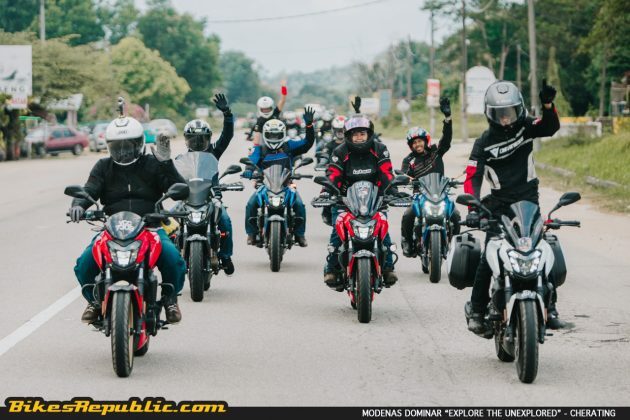 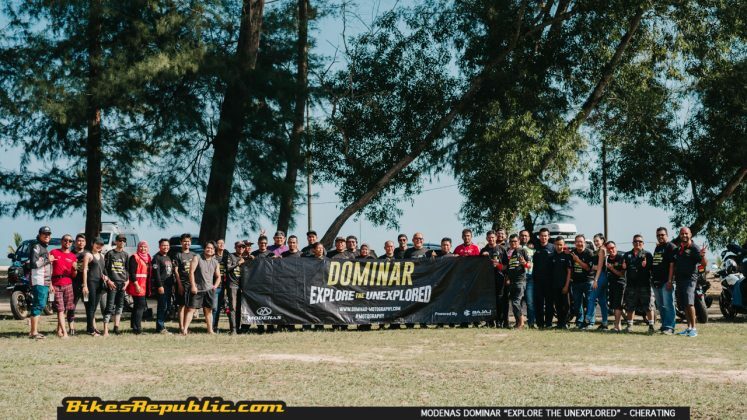 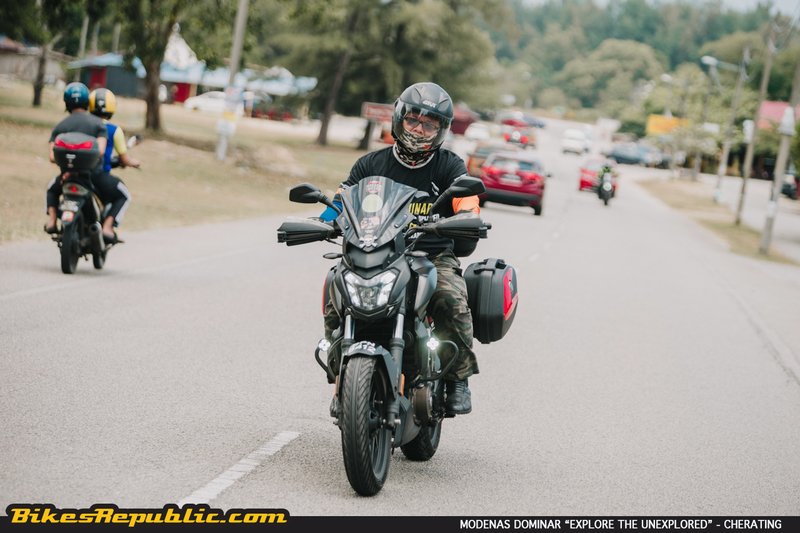 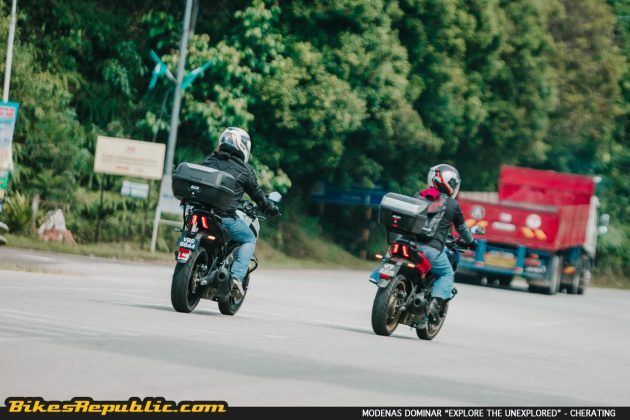 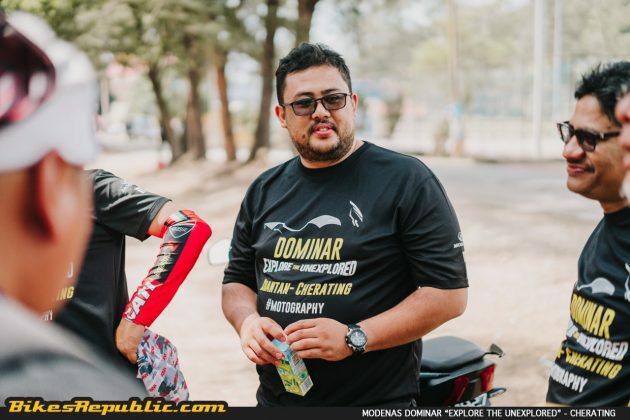 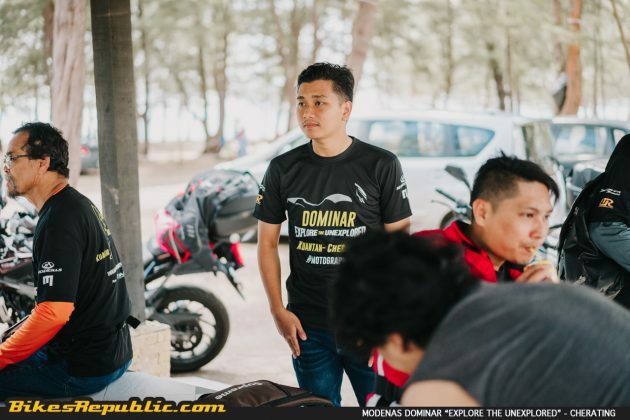 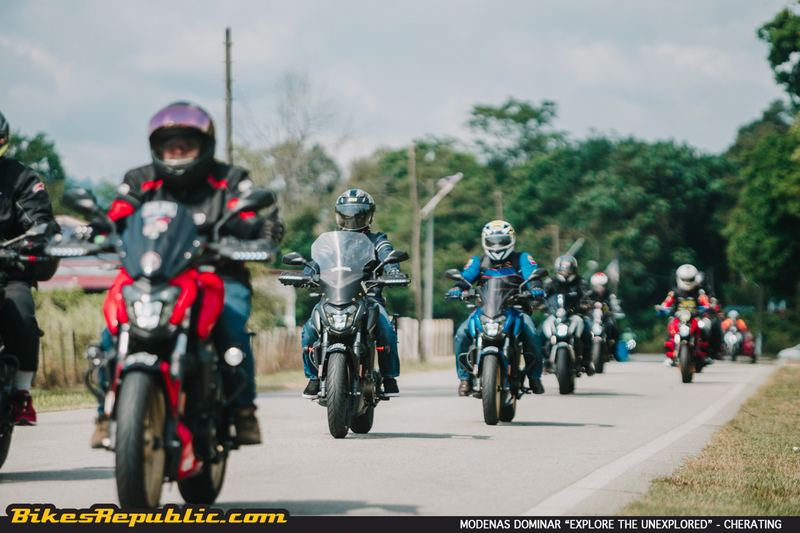 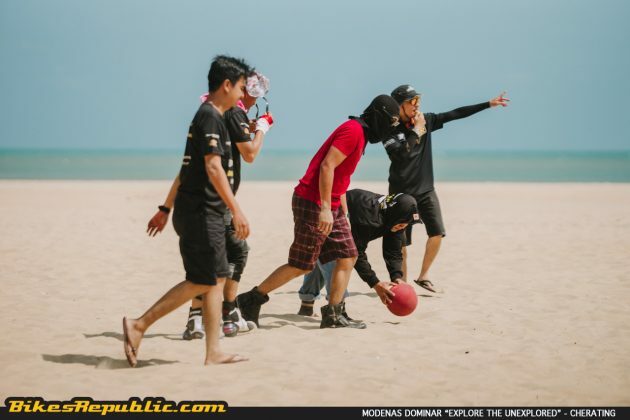 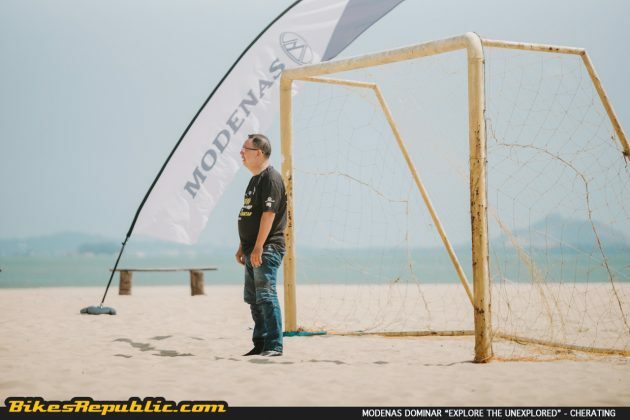 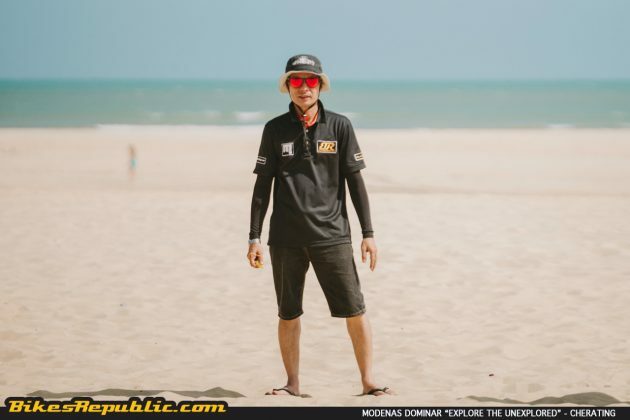 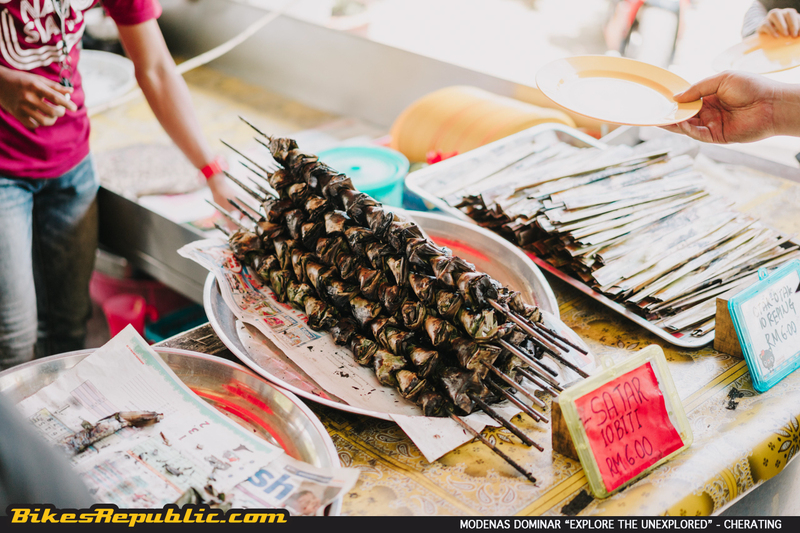 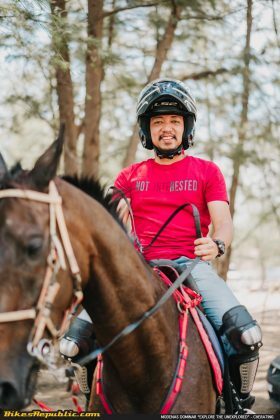 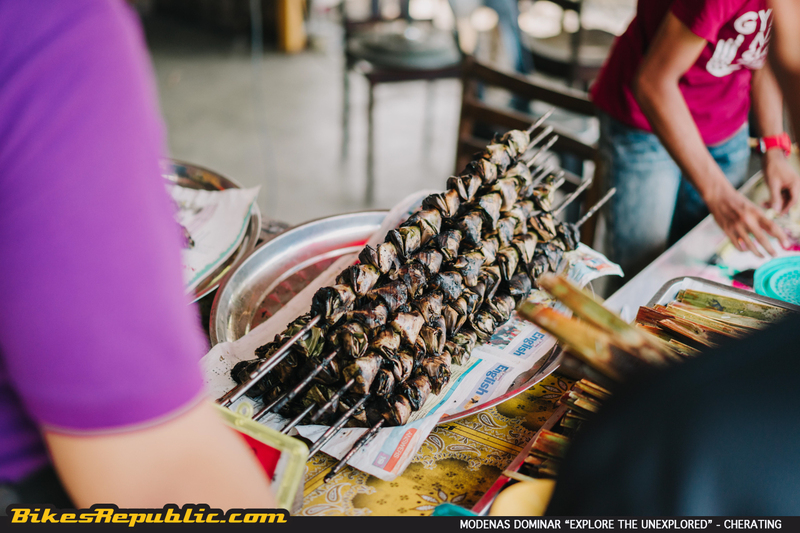 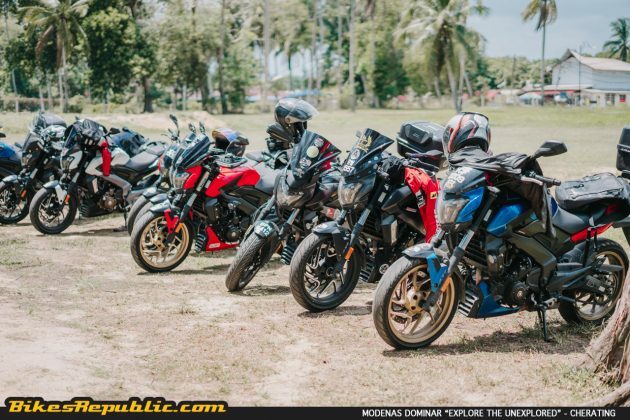 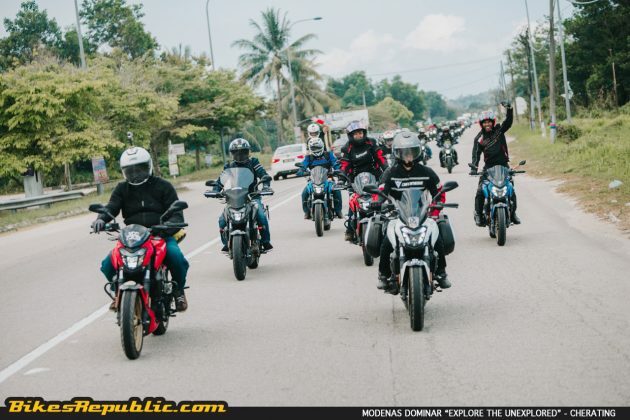 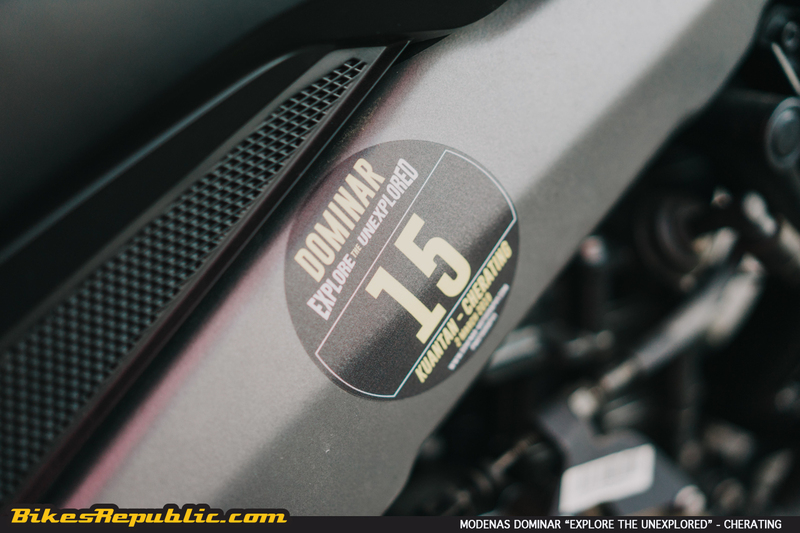 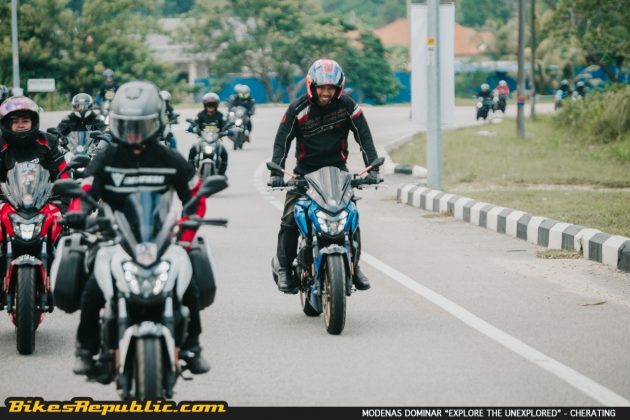 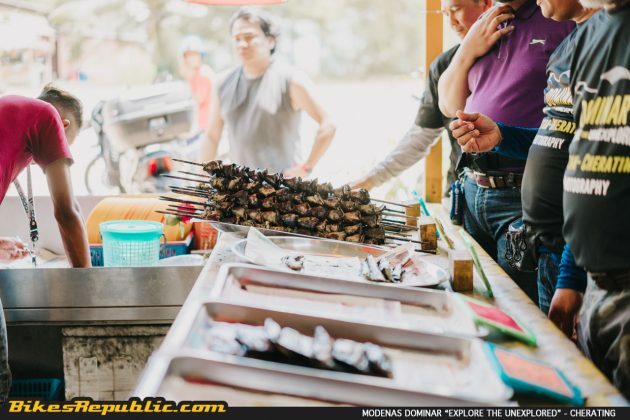 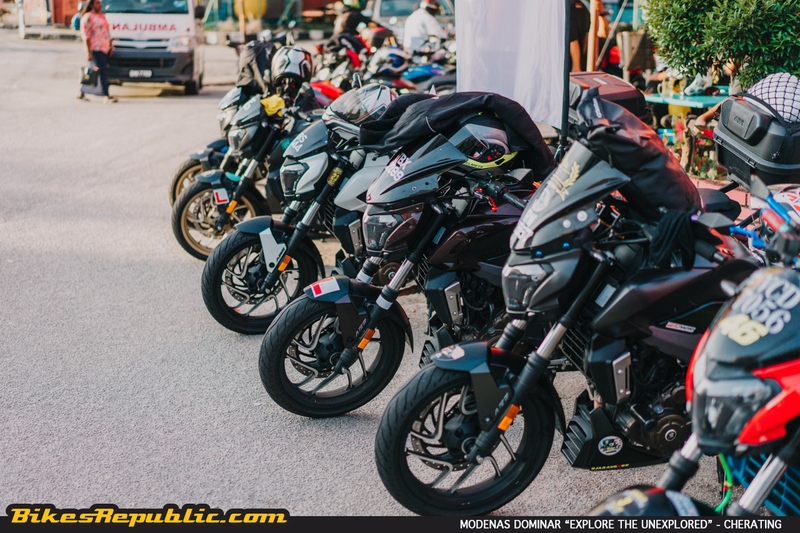 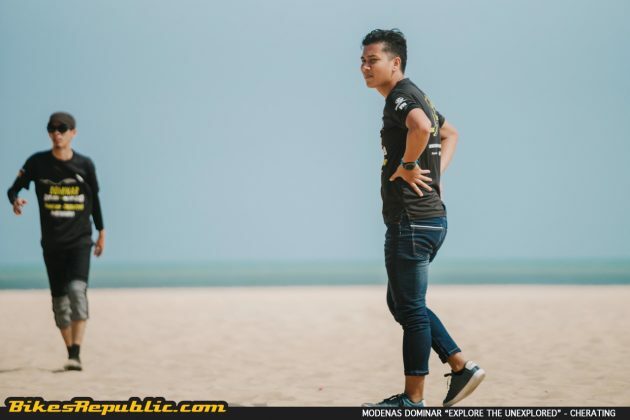 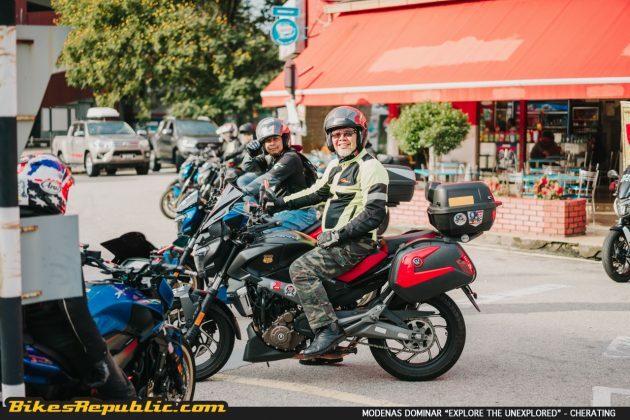 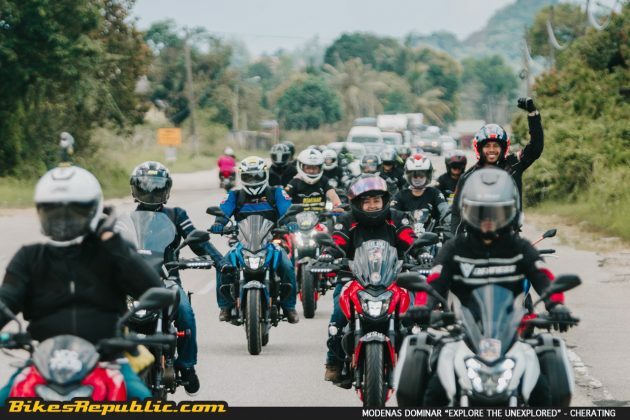 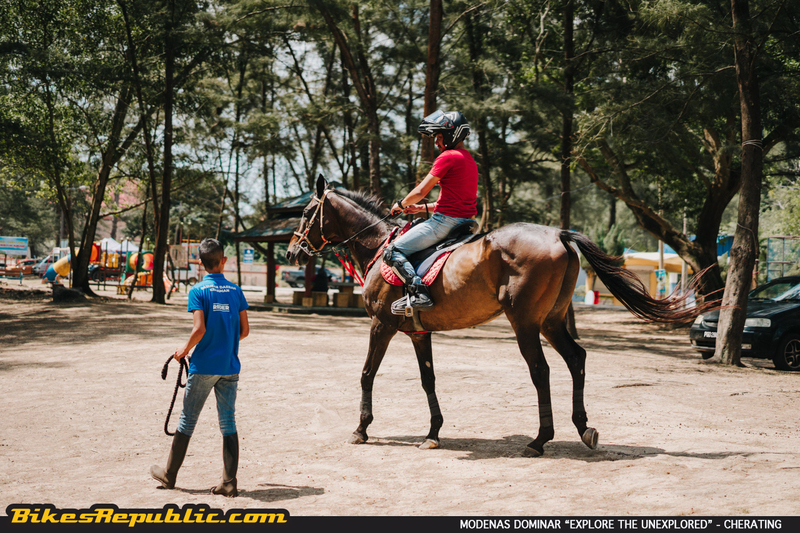 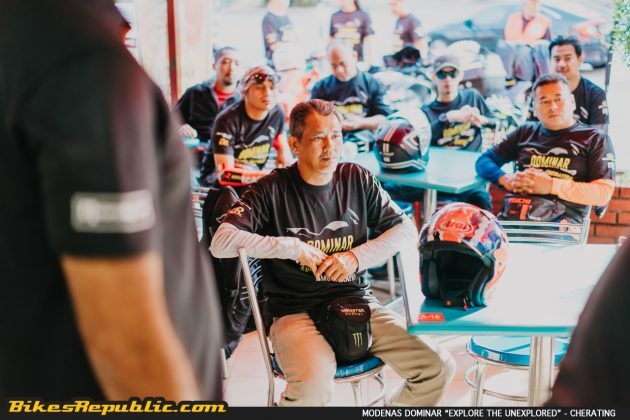 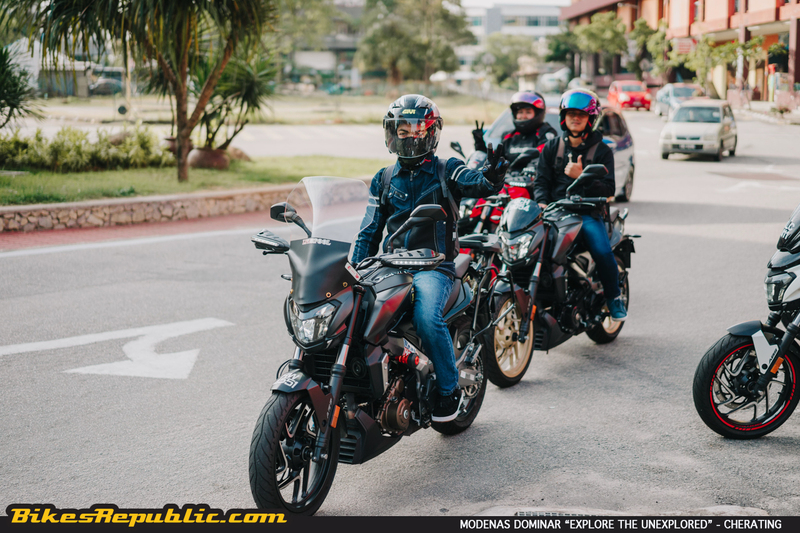 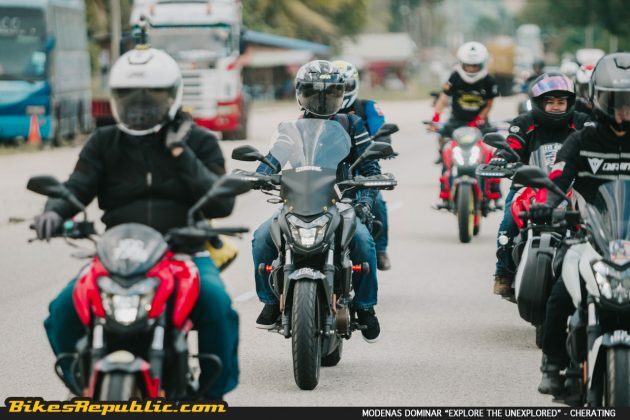 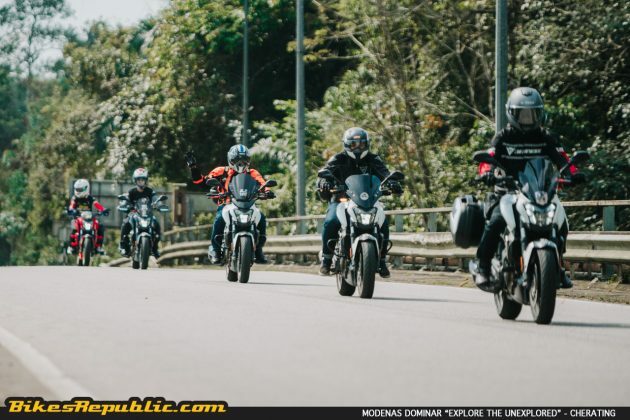 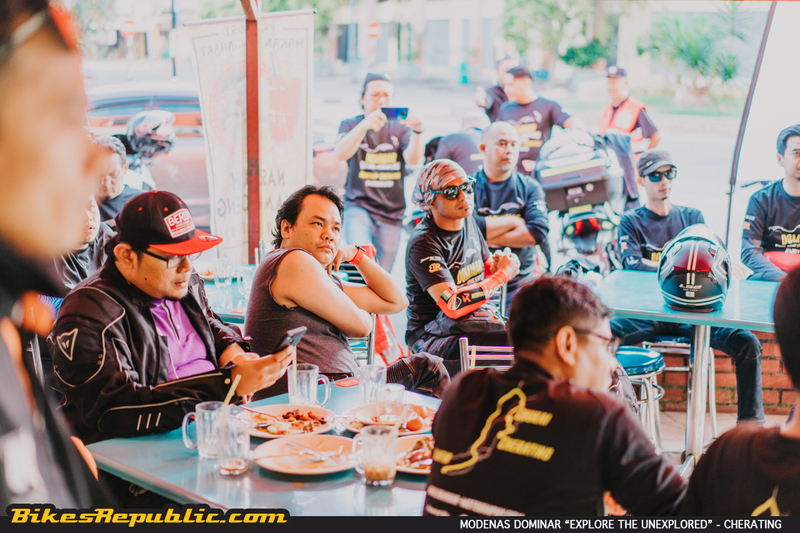 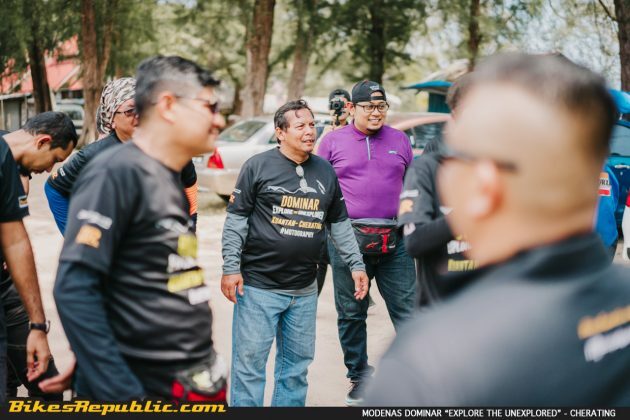 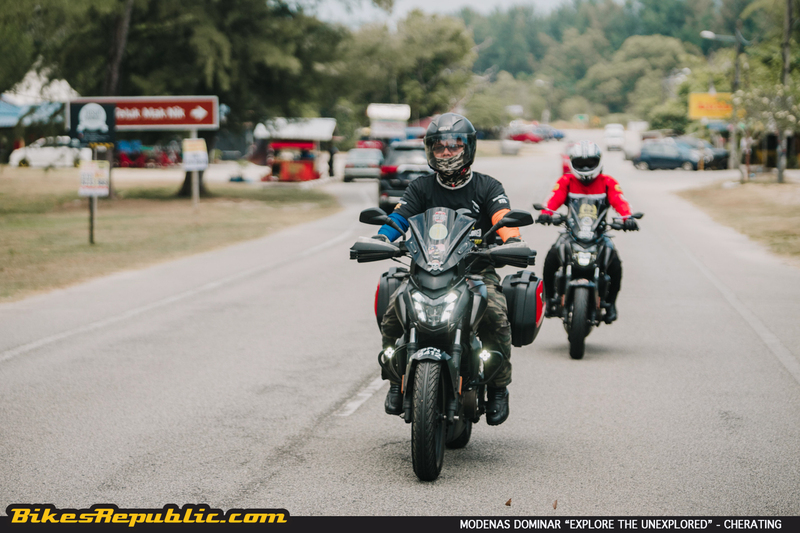 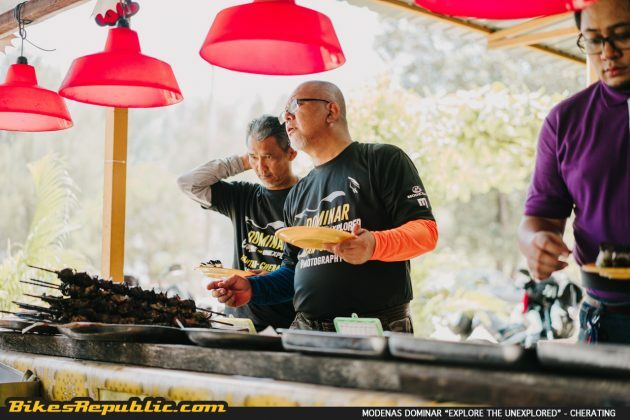 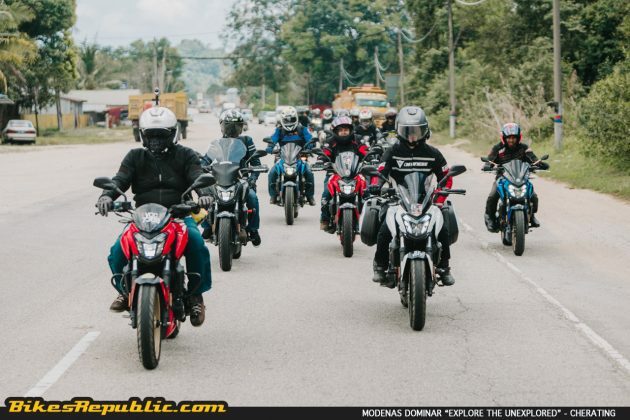 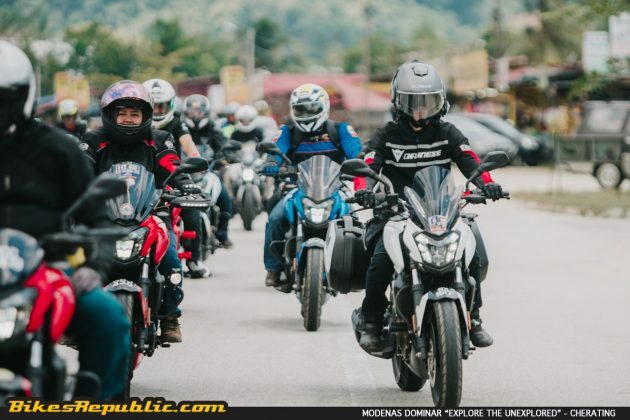 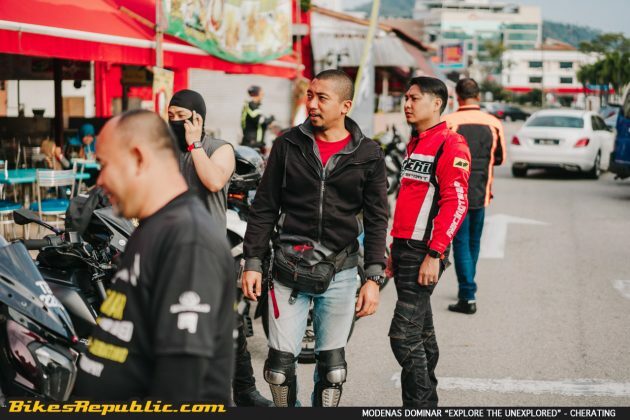 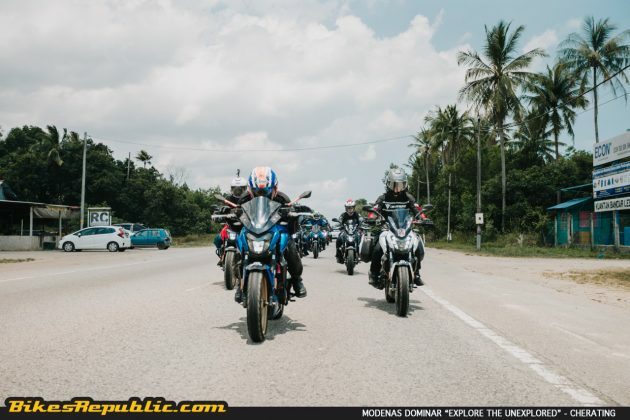 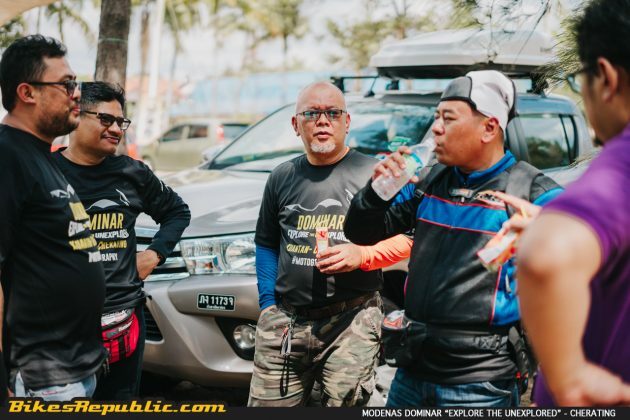 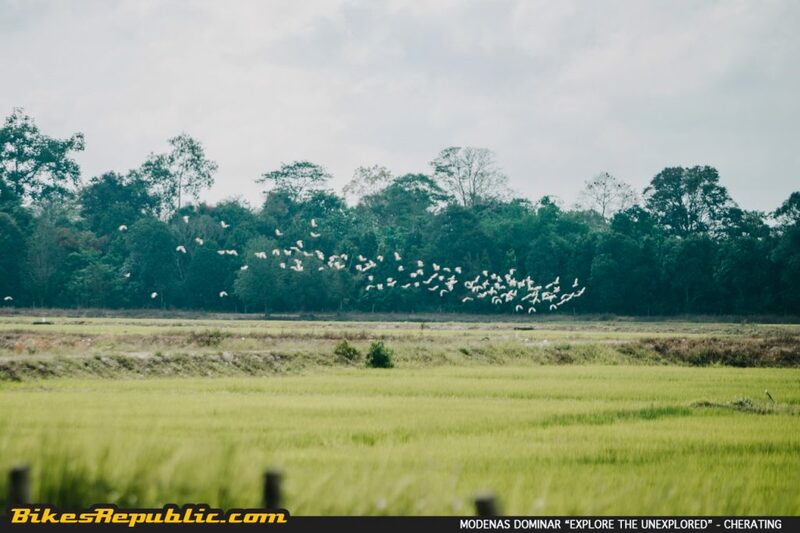 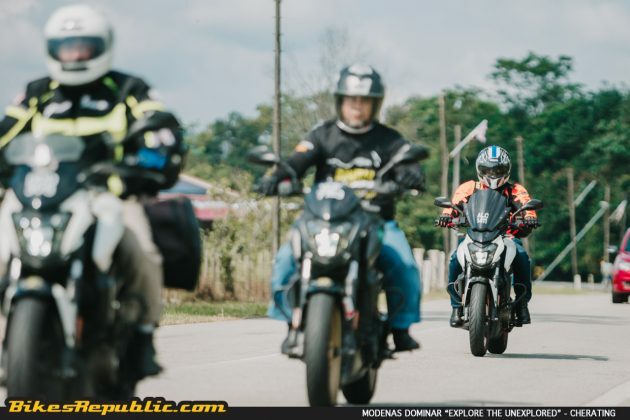 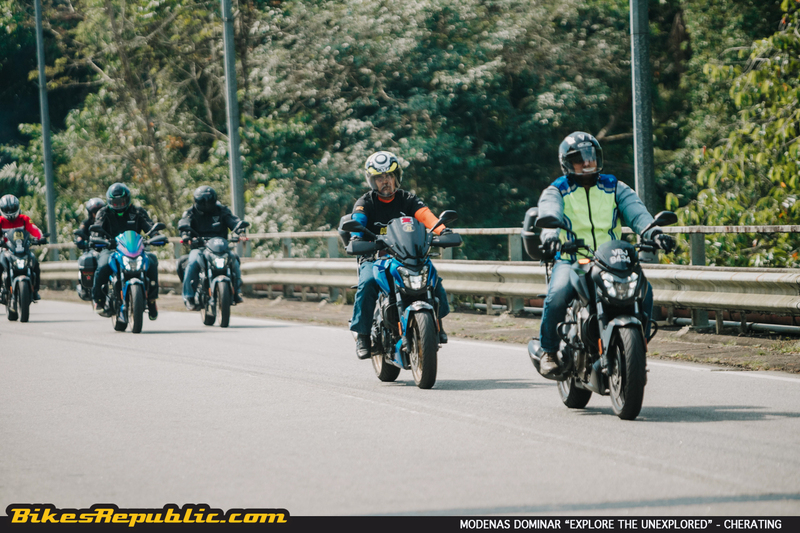 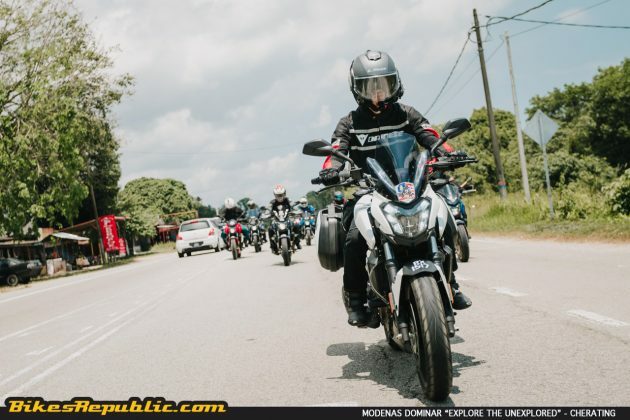 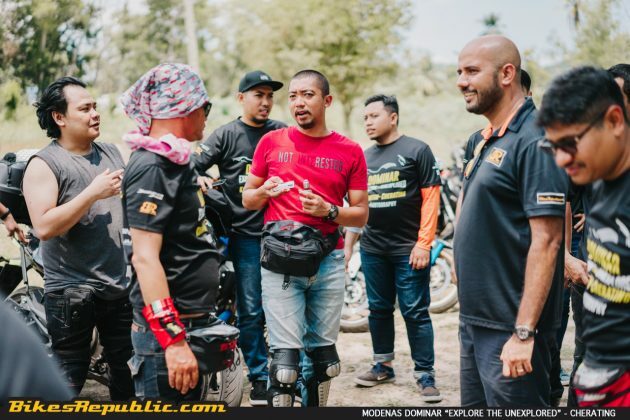 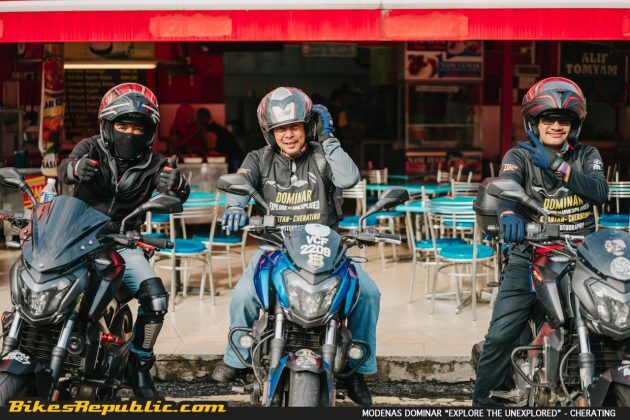 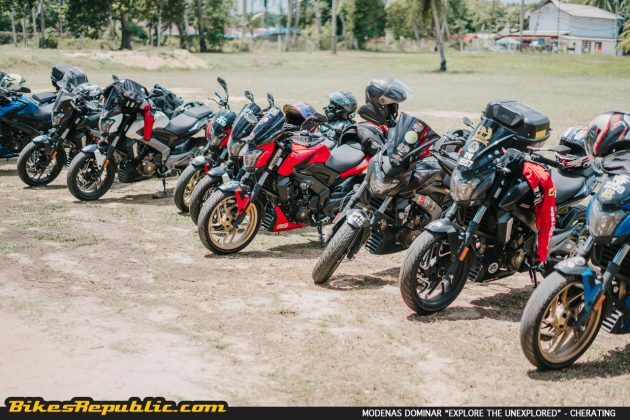 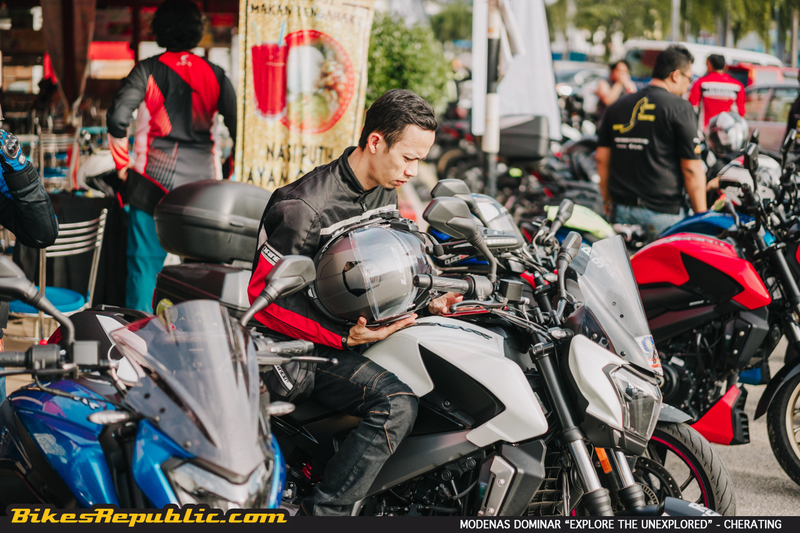 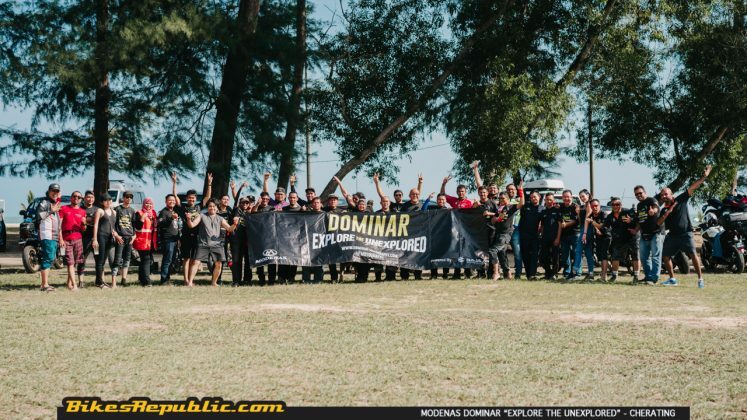 In this fifth edition of the Modenas Dominar “Explore the Unexplored” initiative, the owners rode from Kuantan to Cherating for fun and games. 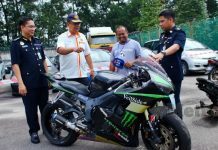 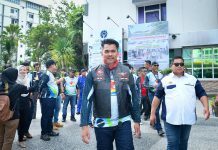 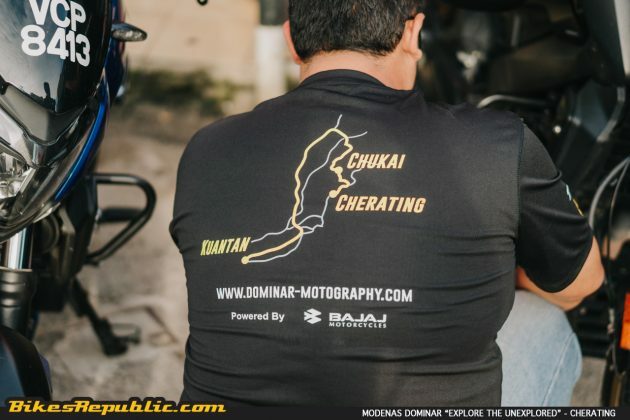 The ride is part of the onging #Motography and #MotographyMalaysia initiatives which encourages Modenas Dominar 400 owners to submit photographs and videos of their travels. 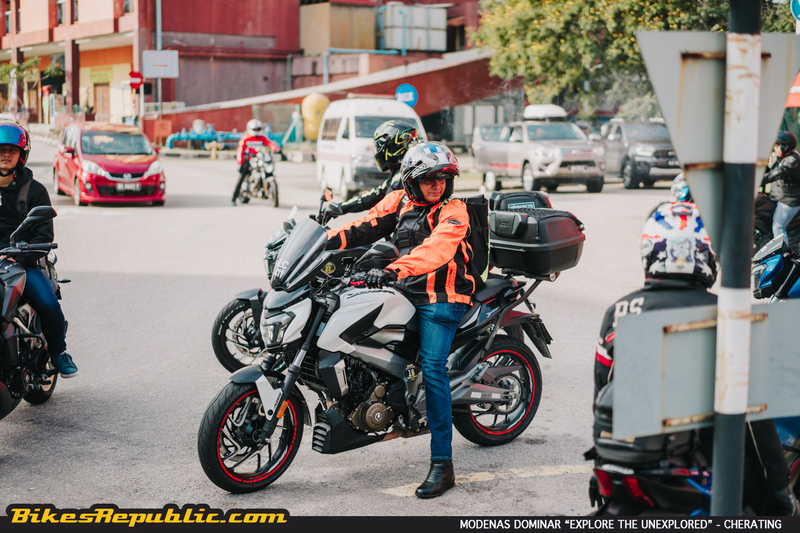 The footages can then be used by all Dominar 400 owners who wish to travel to those same exotic locations. The riders grouped at Restoran Aliff for breakfast. 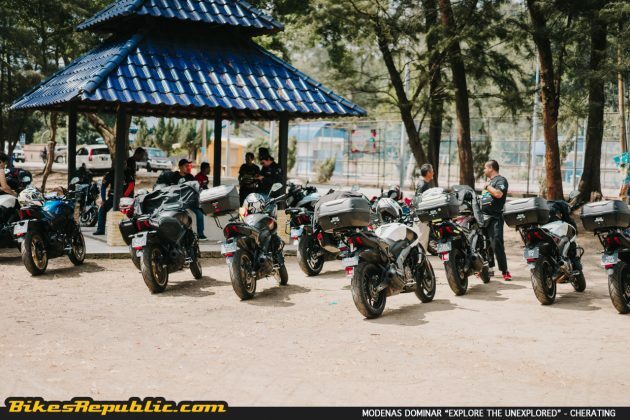 Later, they were briefed on the day’s programmes and routes, and were soon flagged off. 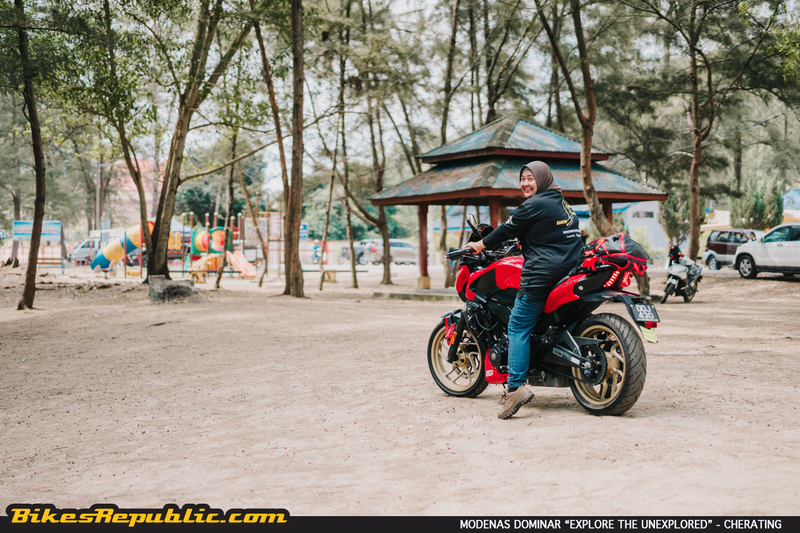 The first #Motography stop was at Pantai Teluk Mak Nik, or better known as Monica Bay. 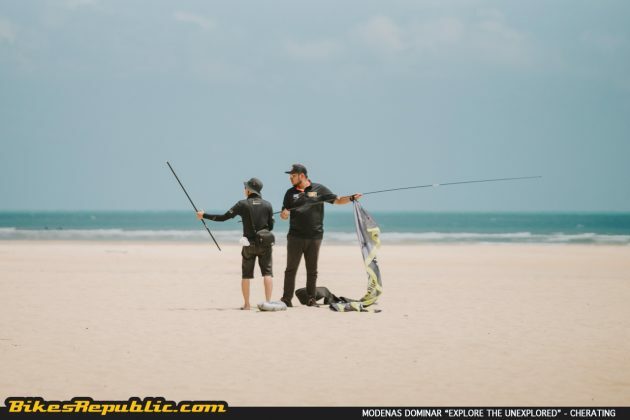 At the beautiful destination featuring sand and surf line by casuarina trees, the riders went ahead to place their bikes for their best shots. The shots were then uploaded to the #motography social media site. 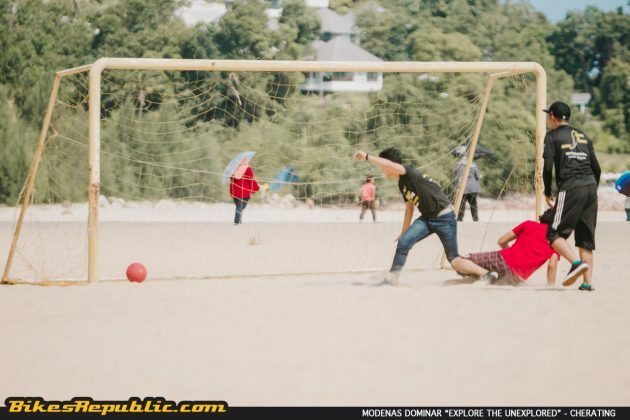 The best shot wins prizes, by the way. 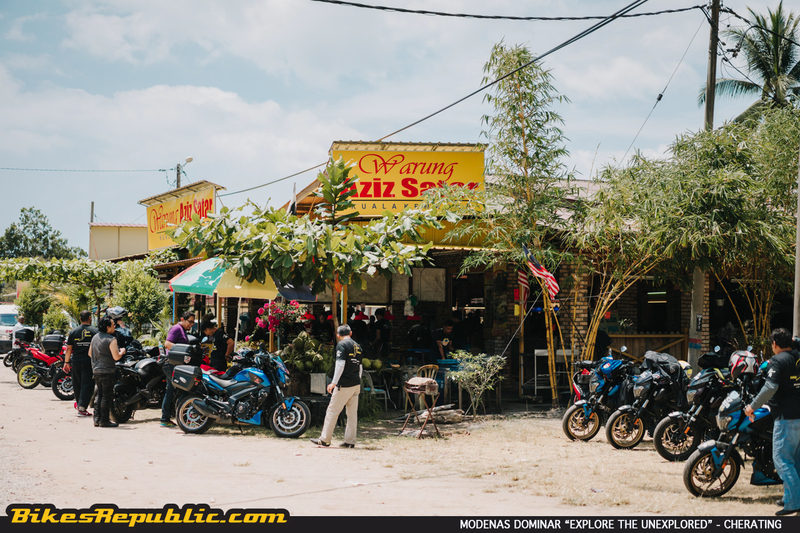 Moving on, the convoy rode to Warung Aziz Satar for lunch and refreshments. 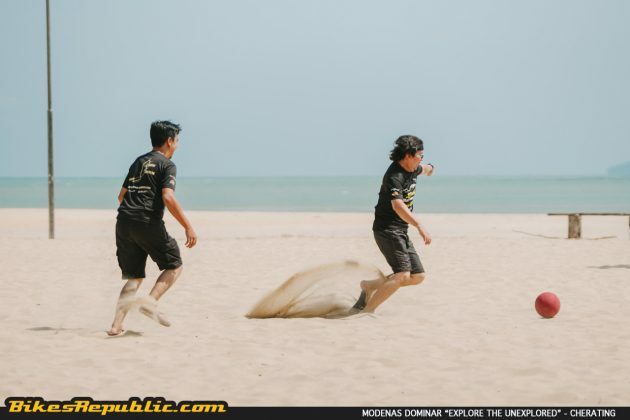 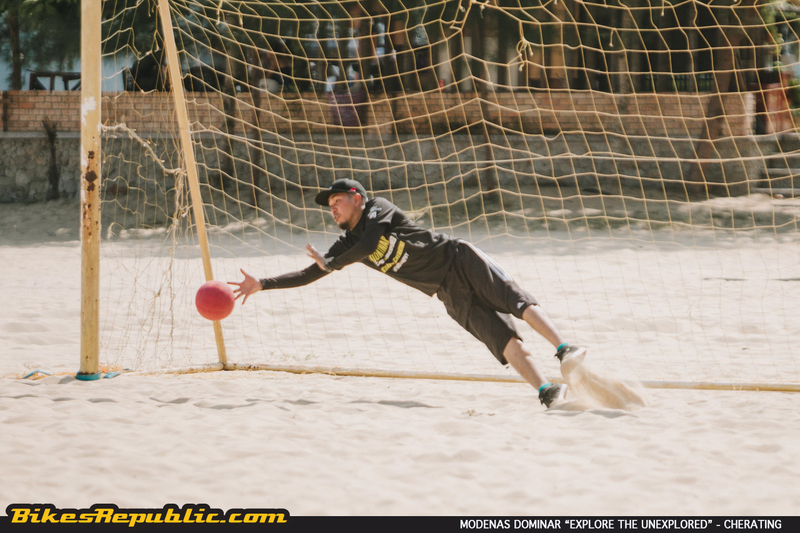 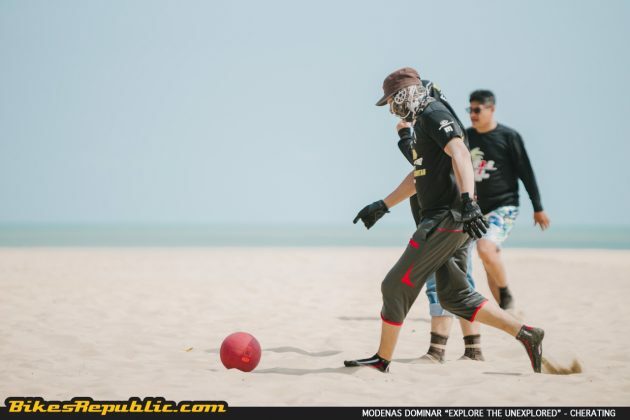 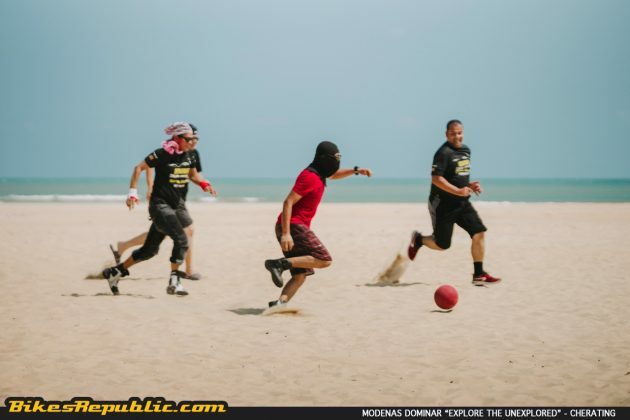 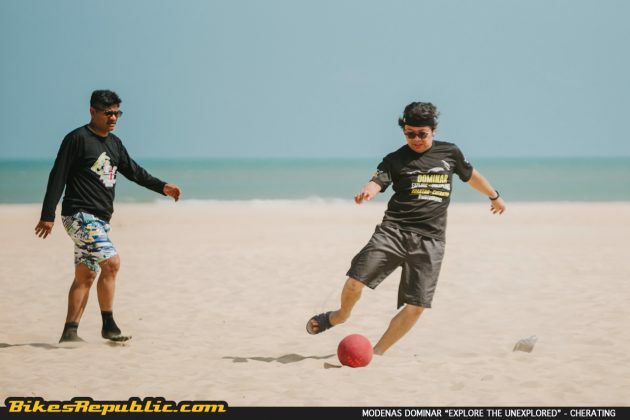 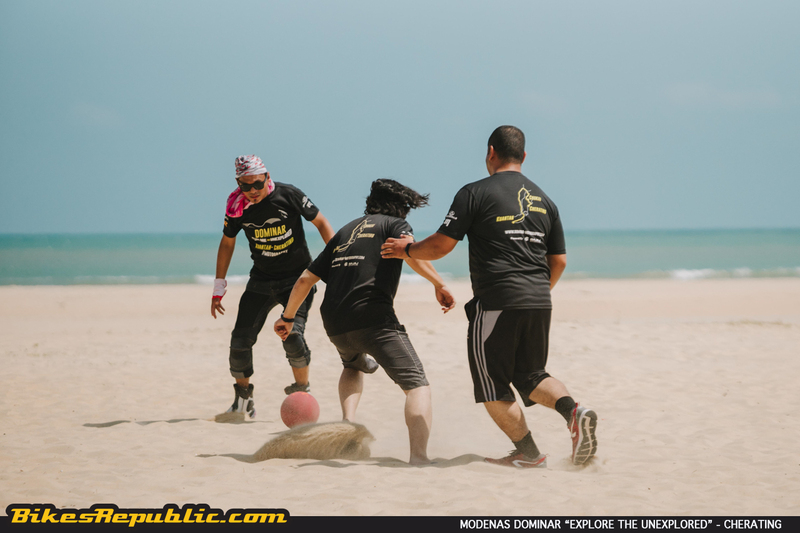 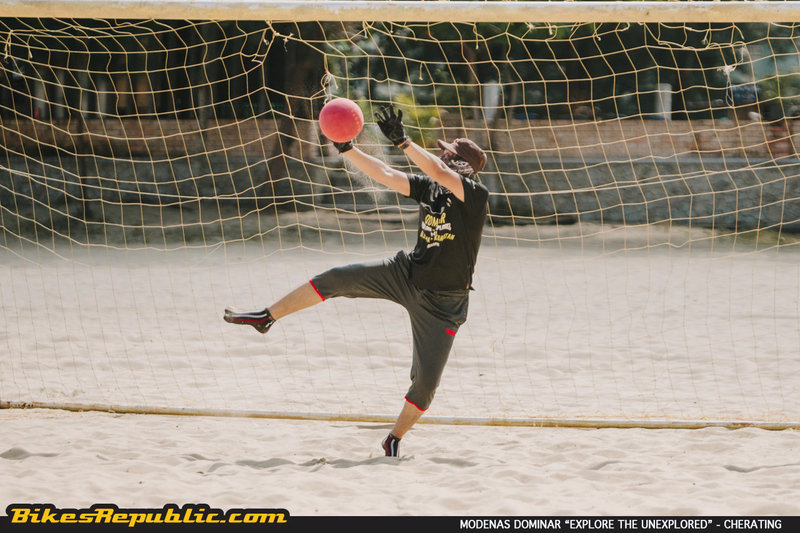 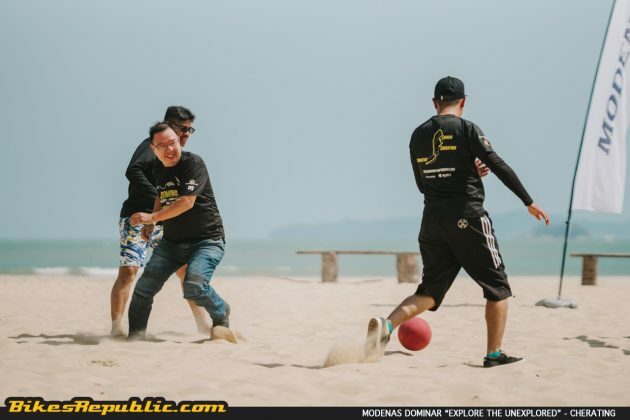 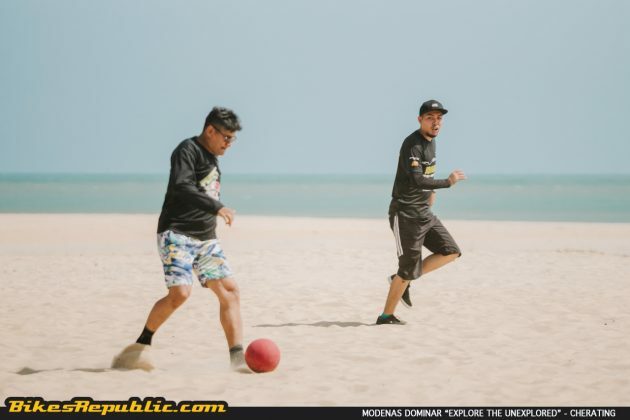 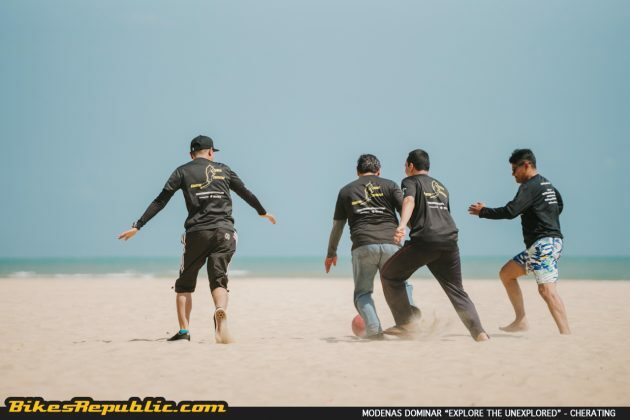 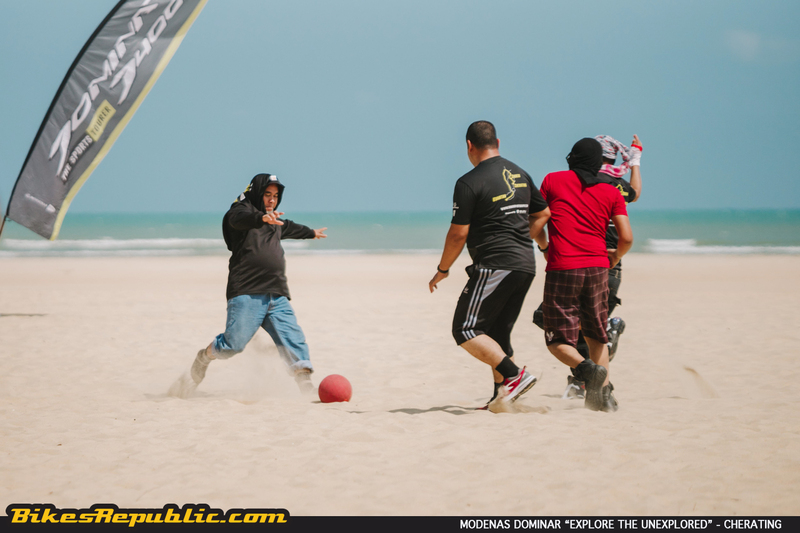 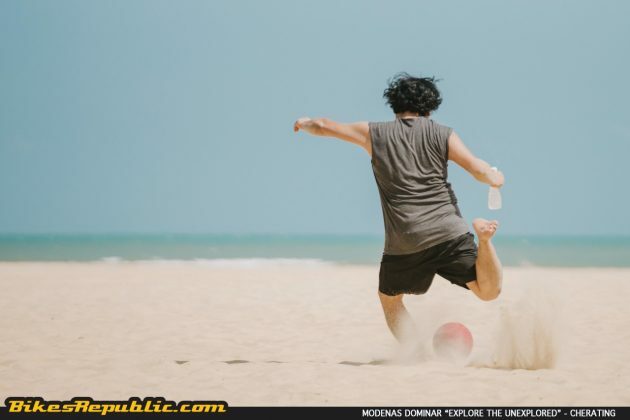 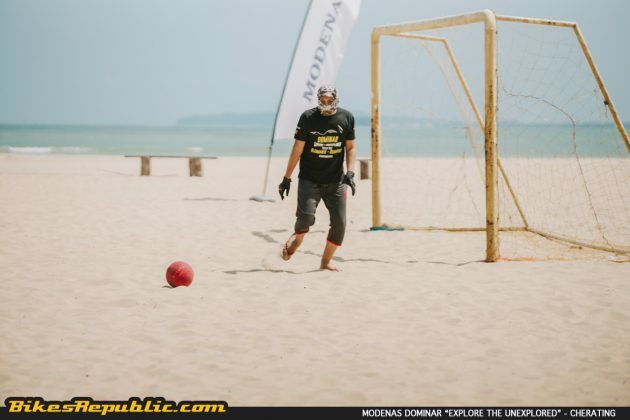 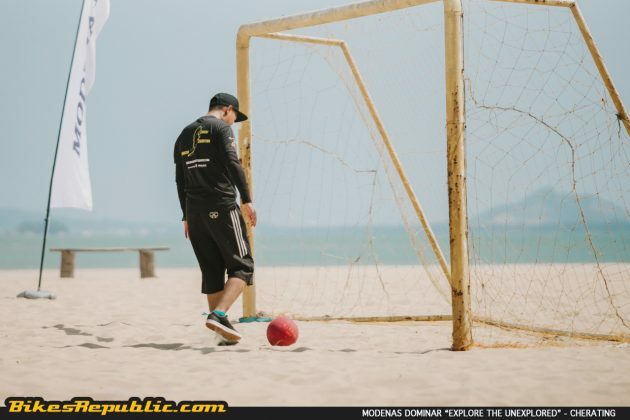 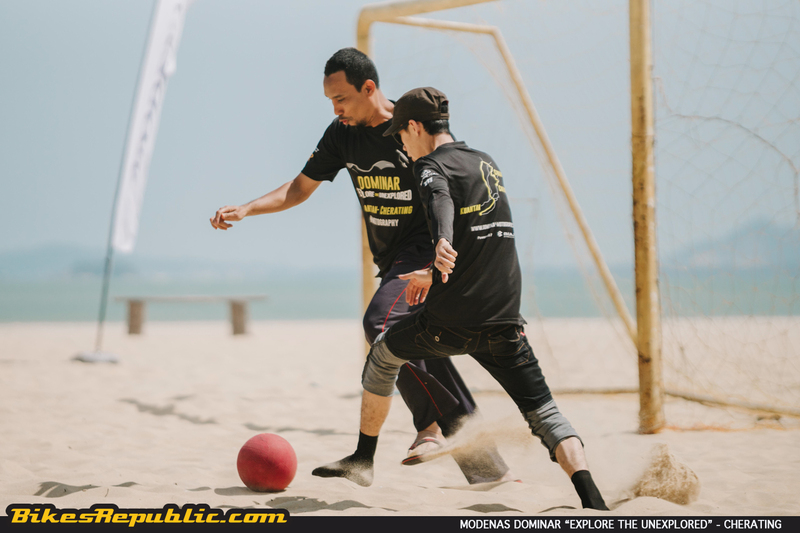 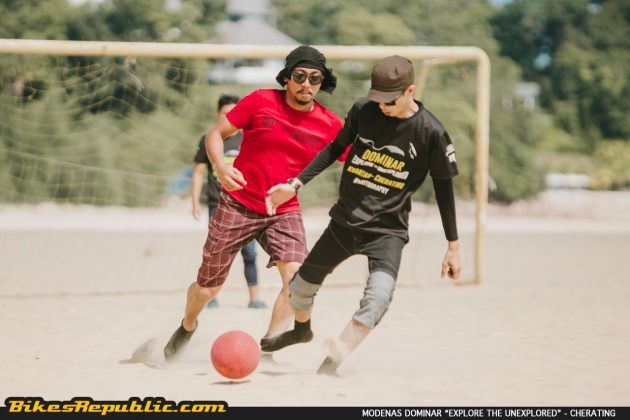 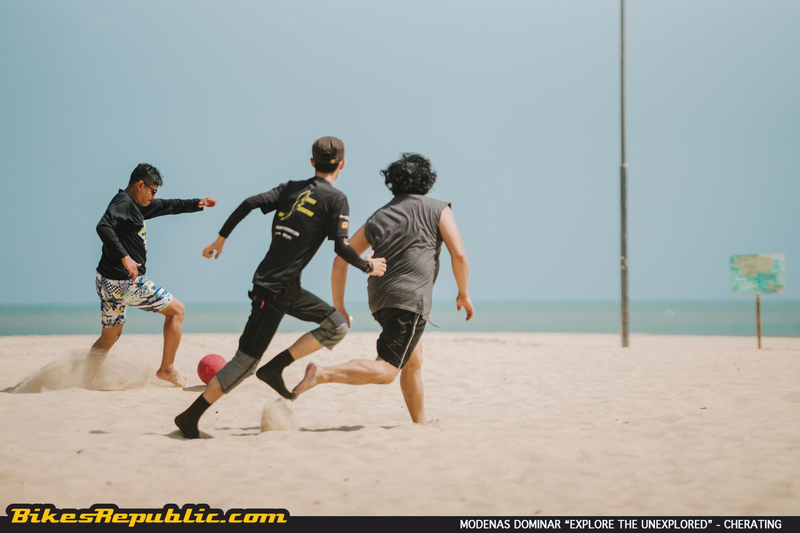 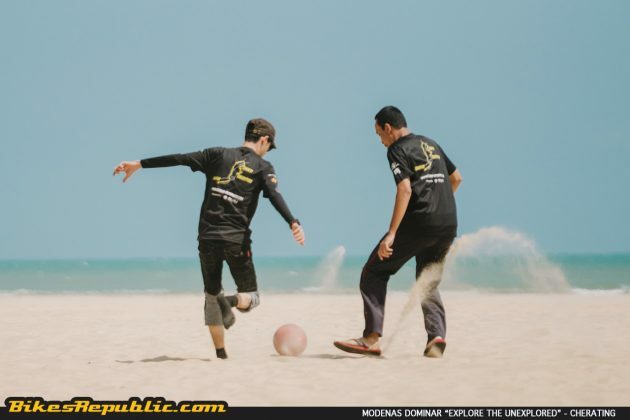 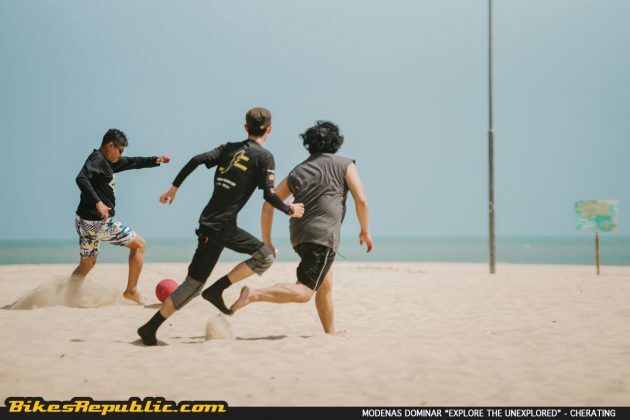 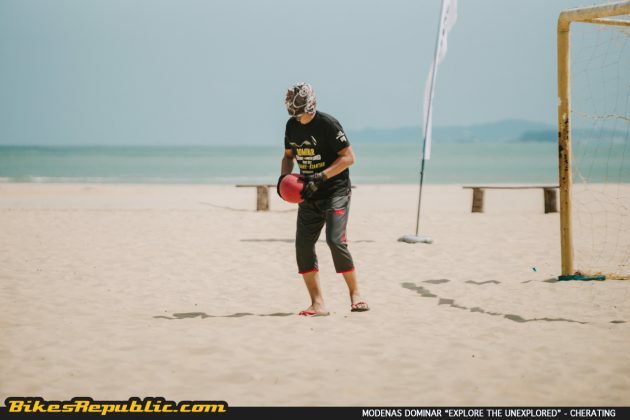 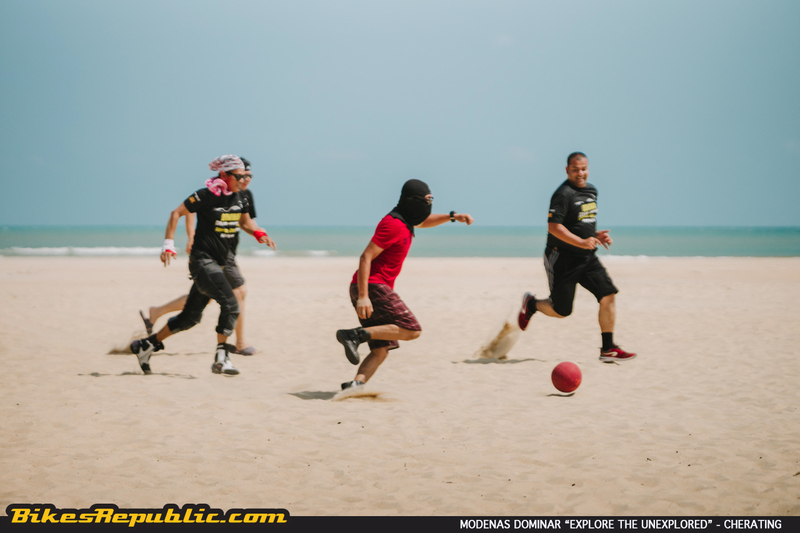 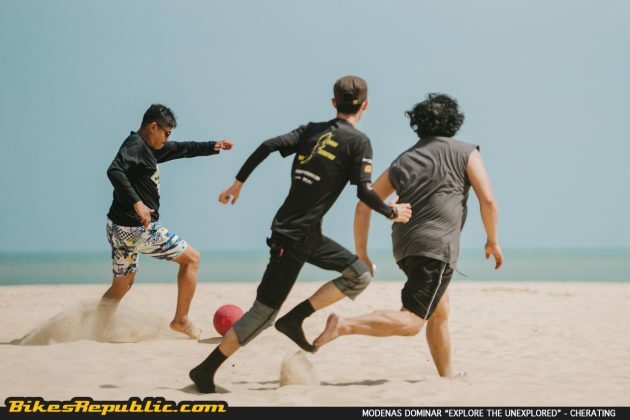 The riders then travelled to another location at the Cherating beach for a five-a-side beach football match. Finally, each rider partook a glass of fresh coconut water to bring this fifth “Explore the Unexplored” edition to a successful end. 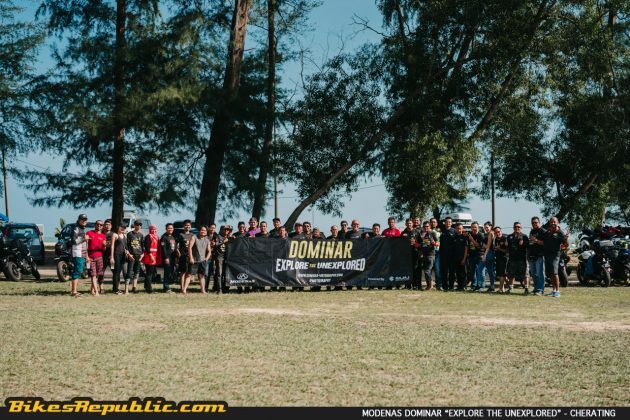 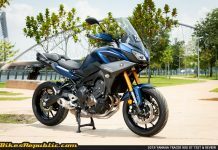 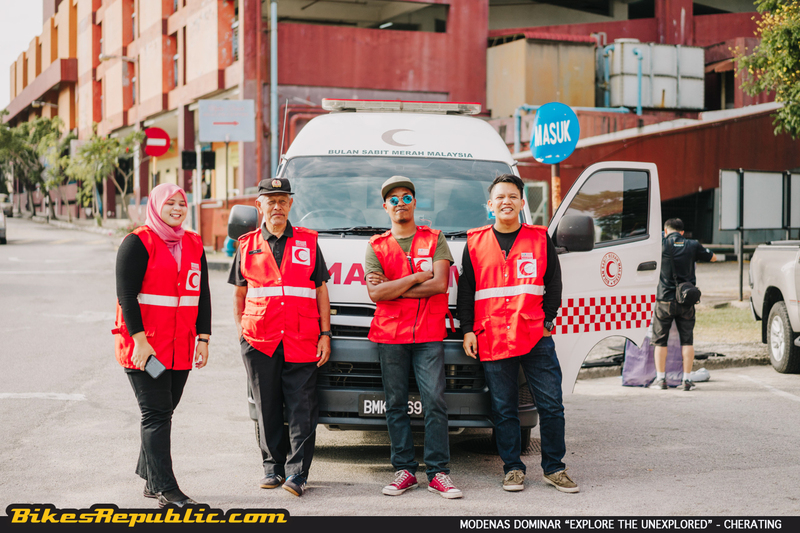 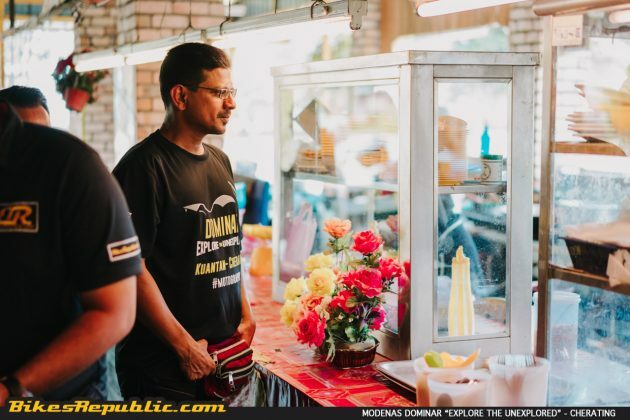 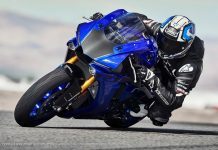 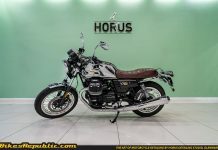 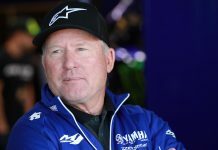 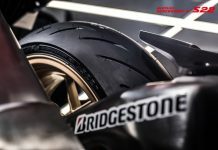 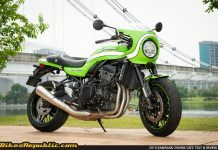 Please follow us at BikesRepublic.com and www.facebook.com/DominarMalaysia/for more up-to-date updates.